Ambassador of the Republic of Serbia to Turkey, Zoran Markovic, yesterday, 12.02, on the occasion of the National Day, the Army Day of the Republic Serbia and the 140th anniversary of the establishment of bilateral relations between Serbia and Turkey, organized a reception in Ankara for high officials of the Republic of Turkey, diplomatic and military corps. The reception was attended by a number of distinguished personalities from the public life of Turkey, as well as representatives of our emigrant community. 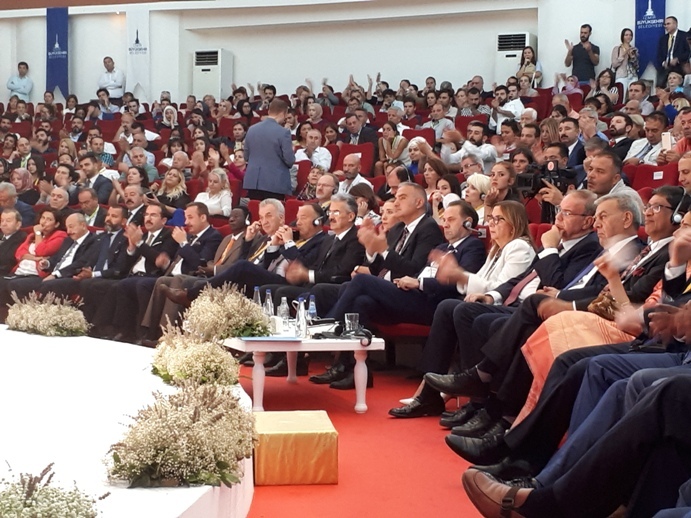 In a ceremonial atmosphere, after the Serbian and Turkish anthem were invoked, the Ambassador Markovic and the Minister of Sport and Youth of the Republic of Turkey Mehmet Kasapoglu addressed the guests. It is jointly assessed that bilateral relations between the two countries are at the highest level in recent history and are the basis for further deepening of cooperation and strengthening of trade exchange and investments. The speeches expressed mutual respect and understanding built over several centuries of common history, with many similarities that are now connected by two peoples. Bearing in mind the challenges faced by the two countries, the expectation of mutual support is emphasized in all spheres where the interests coincide. At the invitation of Ambassador Markovic, the stand of the Republic of Serbia was visited by HE. Minister of Culture and Tourism of the Republic of Turkey, Mr. Mehmet Ersoy. In a short conversation, the Minister was interested in our expectations in the Turkish market. Ambassador Markovic responded that this market is of great significance to Serbia, that over 100,000 Turkish tourists visited Belgrade last year, but that the goal is to meet Turkey with the potentials of other cities and our winter tourism, for which Minister Ersoy showed special interest, and it Ambassador Marković took the opportunity to inform more closely about the possibilities offered by Kopaonik as the center of our winter tourism. 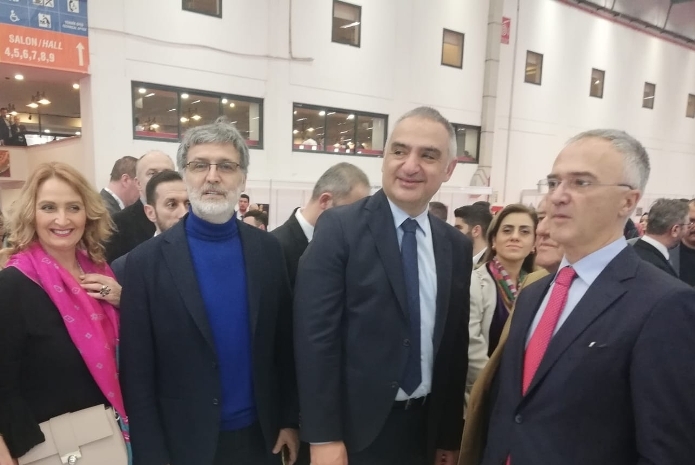 Ambassador Markovic visited the stand of the Republic of Serbia at the tourism fair in Istanbul, where the presented tourist potentials and the offer of our country are directed to tourists in Turkey. 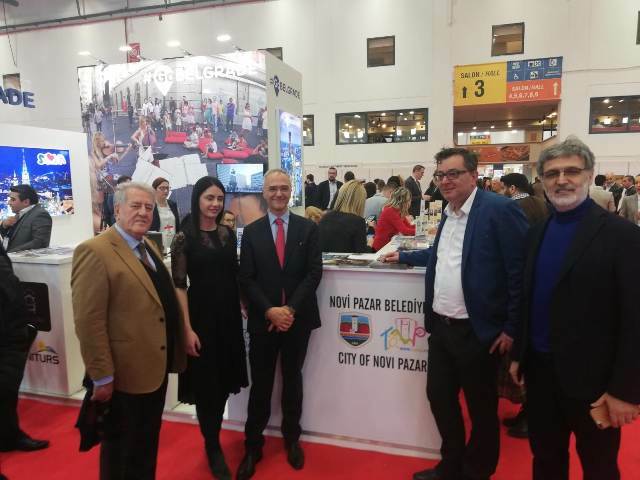 This year, besides the potential of our capital, AP Vojvodina, the cities of Novi Sad and Novi Pazar, presented their potentials. The stand of Serbia now traditionally has one of the central places at the Istanbul Tourism Fair. Ambassador Zoran Marković visited H.E. Ziya Selcuk, Minister of Education of the Republic of Turkey and once again confirmed the excellent bilateral relations between the two countries and discussed the possibilities of deepening cooperation in the field of education. To that end, a meeting of representatives of the two ministries was agreed to discuss possible ways of further action, which should result in a meeting at the ministerial level. Among other topics were the exchange of students and the opening of the department of the Serbian language at the University of Ankara. It is jointly estimated that cooperation in the field of education represents an investment in the future of the relations of the two people and a better mutual understanding. MEETING OF MINISTRY OF AGRICULTURE, FORESTY AND WATER MANAGMENT OF THE REPUBLIC OF SERBIA BRANISLAV NEDIMOVIC WITH MINISTRY OF AGRICULTURE AND FORESTRY OF THE REPUBLIC OF TURKEY BEKIROM PAKDEMIRLIJEM, ANKARA 05.12.2018. At the invitation of HE Bekir Pakdemirli , Minister of Agriculture and Forestry of the Republic of Turkey, HE. Branislav Nedimovic , Minister of Agriculture of the Republic of Serbia paid a one-day working visit to Ankara. On this occasion, the two ministers recapitulated the dynamics of the current cooperation in the area under the jurisdiction of their departments, with the conclusion that there is room for further deepening and expansion to the benefit of both sides, and so for the citizens of the two countries. Minister Nedimovic told his Turkish counterpart that the National Assembly of the Republic of Serbia ratified an innovative Free Trade Agreement and that it is expected that the Grand National Assembly of the Republic of Turkey will do the same in the near future, in order for this important bilateral agreement to enter into force and open new prospects for trade exchange. It was noted that the mutual exchange of goods exceeds one billion dollars and that the stock of livestock products is very important in that. The discussion between the two ministers, within the delegation of the Republic of Serbia, was also attended by HE. Ambassador of the Republic of Serbia to Turkey Zoran Markovic. 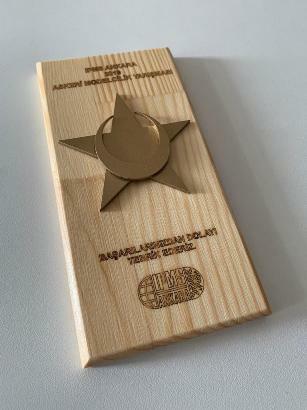 Last night, at the Deniz Museum in Istanbul, in the presence of a large number of officials, the premierly featured film of the famous series "Evelya Celebija Traveling the World", which was filmed this year in Belgrade, broadcast on the National Radio Television of Turkey - TRT. 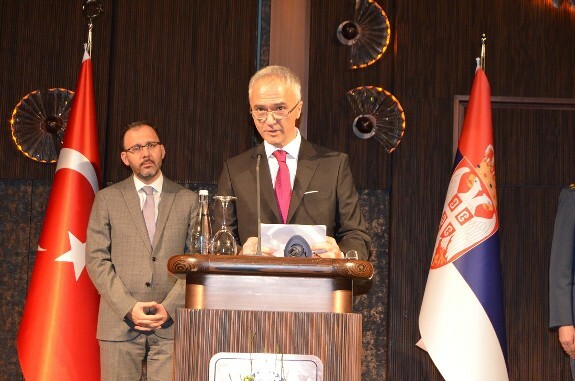 The event was officially opened by the Ambassador of the Republic of Serbia to Turkey, Zoran Markovic, and then Miodrag Popovic, Director of TOB, held a presentation of Belgrade for over 100 present guests from the world of tourism, culture, diplomacy and economy. The travelogue "Evelya Celebija travel to Belgrade" lasts about half an hour, represents the most important cultural and historical sights of our city, and will be shown on the TRT channel at the beginning of next year. After the screening was finished, guests enjoyed Serbian food, cocktail and music performance by Belgrade saxophonist Aleksandar Sarović, while in the second part of the space of Deniz Museum there was an exhibition of photographs about Belgrade. 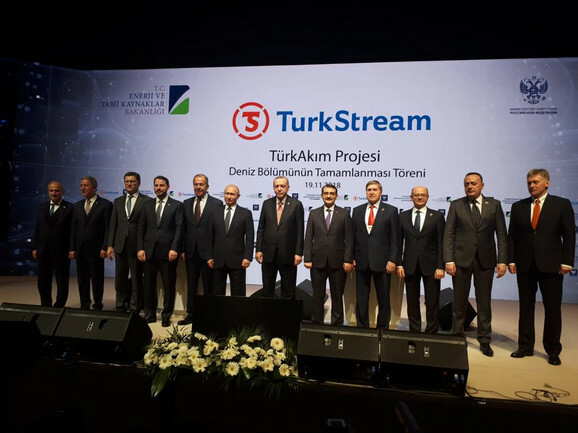 Minister of Mines and Energy Aleksandar Antic paid a visit to Istanbul on November 19, representing the Republic of Serbia, at the ceremony of the Completion of offshore setion of turkstream project. Russian President Vladimir Putin and Turkish President Recep Tayip Erdogan attended the ceremony. On the margins of the ceremony, Antic met with Turkish Minister of Energy and Natural Resources, Fatih Donmez. Zoran Markovic, Ambassador of the Republic of Serbia to the Republic of Turkey also attended the meeting. Minister Fatih Donmez expressed satisfaction with the bilateral meeting with his Serbian counterpart. Minister Antić assessed with Turkish counterpart that friendly relations between President Recep Tayip Erdogan and President Aleksandar Vucic result in the development of economic, energy and political relations between Turkey and Serbia at the highest level. At the invitation of the Ankara Chamber of Industry, Ambassador Markovic held a presentation on the topic "Investment and economic opportunities in Serbia", organized within the framework of the "Days of Serbia". His presentation was accompanied by the presentation by Ismail Bozdemir, head of the Directorate at the Ministry of Commerce of the Republic of Turkey on the topic "Business Opportunities for Turkish Companies in Serbia" and Enver Ali Kuleohlu, Assistant Director General of Bioanalysis on the topic "Keeping Jobs in Serbia". The presentation was attended by over 30 representatives of Turkish companies, members of this association, 8 of them in construction and 6 in the field of electronics and IT sectors. 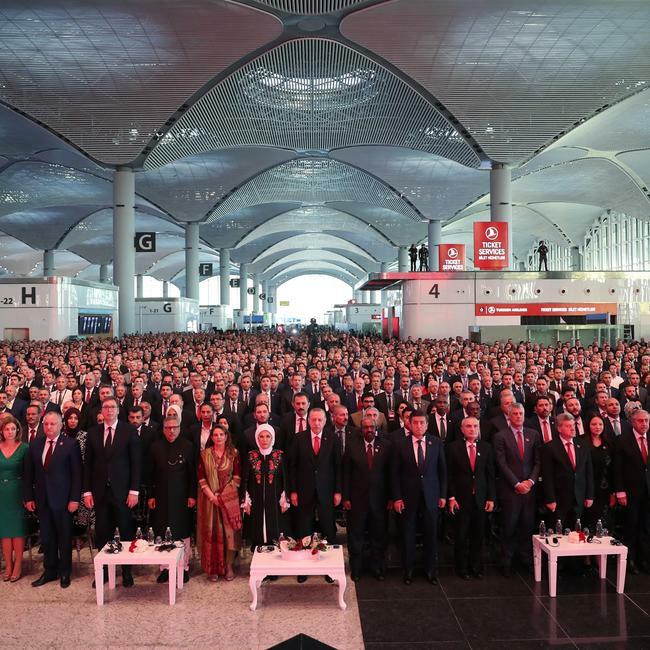 At the invitation of the Turkish President Redzep Tayip Erdogan, President of the Republic of Serbia, Aleksandar Vucic, attended the opening ceremony of the new airport in Istanbul. Grand Istanbul Airport, after the completion of works, will represent the largest airport in the world. On the margin of this ceremony,President Vucic had a separate meeting with President Erdogan, where once again a friendship between the two countries was confirmed, possibilities for further deepening of bilateral cooperation, as well as opportunities for new investments of Turkey in the Republic of Serbia. 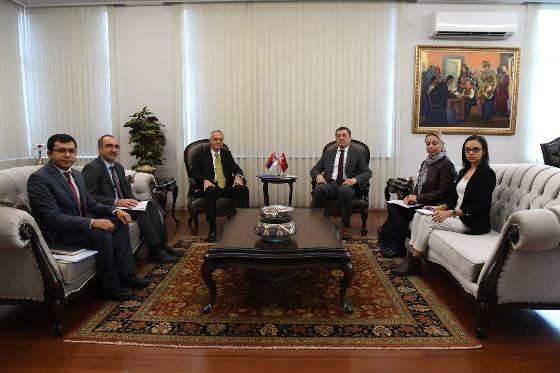 In Ankara, consular consultations were held between the representatives of Serbia MFA Assistant of the Minister for consular affairs, Ambassador Aca Jovanovic, and the Republic of Turkey, MFA Director General for Consular Affairs, Mehmet Samsar. The consultations examined the current state of consular relations, as well as the possibilities for extending the legal framework of cooperation. As the political relations between the two countries are at the highest level, there are all preconditions for deepening cooperation. Both sides expressed great satisfaction with the work of the Embassy of the Republic of Serbia in Ankara, as well as Embassy of the Republic of Turkey in Belgrade. The Ambassador of Republic of Serbia in Ankara, Zoran Markovic, also attended the consultations. On the basis of reciprocity, the IR IRan Government made a decision to abolish the "Decision on visa-free regime for citizens of the Republic of Serbia, holders of ordinary passports", which enters into force on October 25, and from that date, all citizens of the Republic of Serbia, holders of ordinary passports, are required to apply for visa to enter, transit and stay in the IR Iran territory. According to a decision taken on October 8, 2018 at the Government session of the Republic of Serbia, the "Decision on the abolition of visas for entry into the Republic of Serbia for the citizens of the Islamic Republic of Iran " is CANCELED. The decision enters into force on October 17, 2018. year and from that date, all citizens of IR of Iran, holders of ordinary passports, are required to apply for visa in order to enter, transit or stay in the territory of the Republic of Serbia. The President of the National Assembly, Maja Gojkovic, met with the President of the Islamic Consultative Assembly of the Islamic Republic of Iran, Ali Larijani, during the Third Meeting of the Parliaments of the Eurasian countries. Gojković and Larijani stressed that bilateral relations are good and friendly and expressed confidence in the continued fruitful cooperation in the promotion and expansion of relations. They also discussed the possibilities of developing economic cooperation and increasing the commodity exchange, as well as the fight against terrorism, and Gojkovic invited the president of the Islamic Consultative Assembly for a return visit to Serbia. On the same day, the President of the National Assembly also met with the Kazakh Parliament Speaker Nurlan Nigmatulin, with whom she discussed the improvement of parliamentary cooperation, as an important segment of the improvement of the overall relations of two friendly countries. 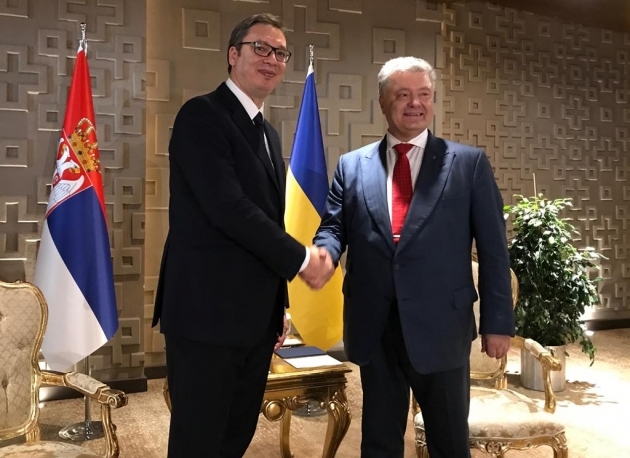 Gojkovic invited Nigmatulin to visit Serbia in order to further develop cooperation between parliaments, which would additionally lead to the improvement of relations between Serbia and Kazakhstan. The Speaker of the National Assembly of the Republic of Serbia, Maja Gojkovic, in her address at the Third Meeting of the Speakers, pointed out that Serbia is strongly committed to continue to work on a comprehensive improvement of friendly relations and cooperation with the countries of the Eurasian region. Gojkovic stressed that Serbia, as a country that is always between East and West, historically understands and recognizes the contribution of initiatives to strengthen cooperation for the prosperity of all nations, and emphasized the importance of the continuity of the work of this forum, initiated at the initiative of the State Duma of the Russian Federation and the Parliament of the Republic of Korea . The National Assembly of the Republic of Serbia, as the largest Western Balkan countries, participates in all regional initiatives, develops relations with its neighbors and where it has not been there for long, and strengthens dialogue and cooperation with seemingly geographically distant, but essentially close to countries and nations. Gojković stressed that Serbia is ready, more than ever, to continue consistently and unconditionally in the future in order to respect the fundamental principles of international relations and as a prerequisite for sustainable development. 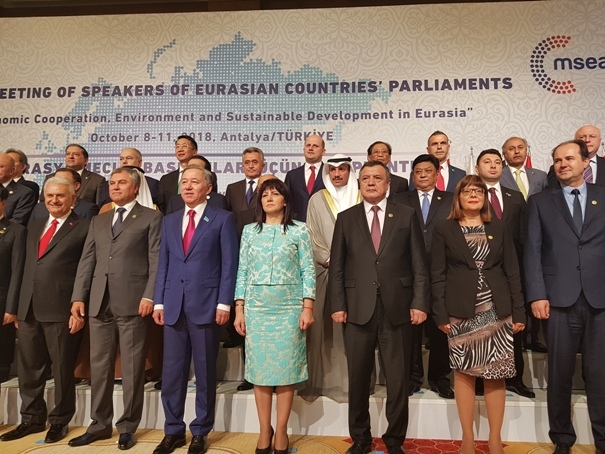 Delegation of the Republic of Serbia, headed by President of the Serbian Parliament Maja Gojkovic, took part in the 3rd meeting of Speakers of the Parliaments of the Eurasian countries in Antalya. On this occasion, a meeting was held with the President of the State Duma of the Federal Assembly of the Russian Federation, Vyacheslav Volodin. At the meeting it was emphasized that the relations of the two countries are exceptionally good and that they are based on the closeness between the two nations, traditional friendship, as well as the cultural and historical connections. Volodin stressed that the Russian Federation and the Republic of Serbia are sincere friends and that the forthcoming Third Session of the parliamentary Russian-Serbian Commission will be a good opportunity to consider important issues of mutual interest. Gojkovic expressed her expectation that the visit of the President of the Russian Federation Vladimir Putin to Serbia will soon be realized. 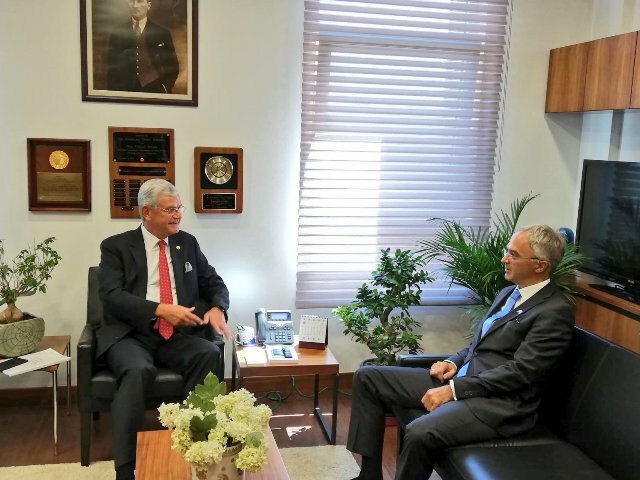 Ambassador Zoran Markovic was in a courtesy visit to Volkan Bozkir, the president of the Commission for Foreign Affairs of the EU of the Republic of Turkey. They discussed the interparliamentary relations between our countries and exchanged views on the recent important developments in our region. 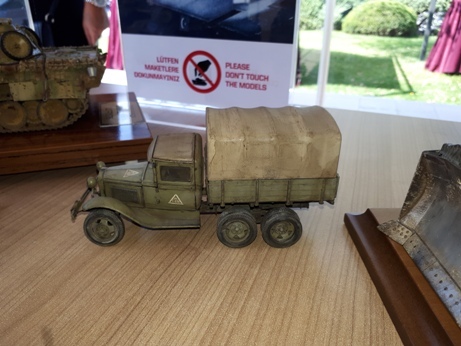 On Sunday, September 9, in Ankara, the 11th international competition in modeling related to military vehicles took place in the renowned Turkish FNSS-equipped turkey industry (11. 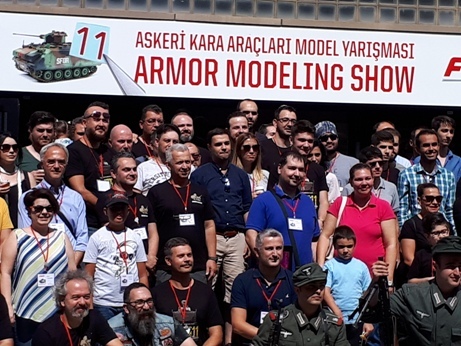 Armor Modeling Show). 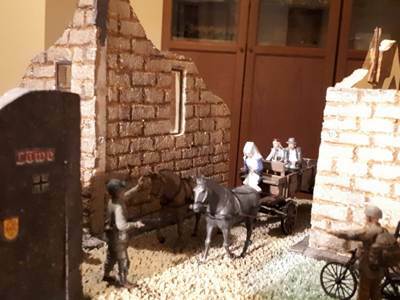 At this competition, the Ambassador Zoran Markovic took part with his model, which was also awarded. The 87th International Fair in Izmir was opened on 7th of September this year. At the opening Parliament Speaker Yildirim, Minister of Trade Pekkan, Minister of Tourism Ersoy, Governor and Mayor of Izmir, as well as representatives of local authorities attended. 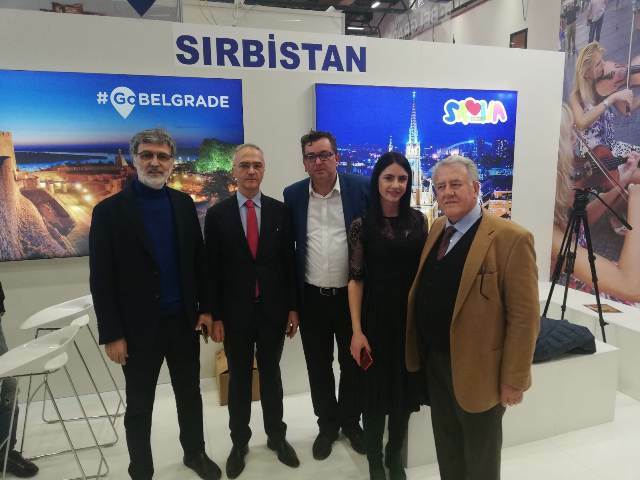 In front of the Republic of Serbia at the opening there were present Deputy Prime Minister and Minister of Trade, turism and telecomunications Ljajic, Minister of Education Sarcevic, TOS representatives, Ambassador Zoran Markovic and Honorary Consul of the Republic of Serbia to Izmir M. Abdurak. The main idea of a partner fair is the need for deepening of mutual cooperation, especially in the field of science and technology, in order to prospect both countries. The serbian stand took a striking spot at the fair, and only the presence of folk player from “Kolo” attracted many visitors. During the fuar another bilateral meeting was held between Deputy Prime Minister and Minister of Trade, turism and telecomunications Ljajić and Minister of Trade Pekcan. Topics of discussion were related to the implementation of trade agreements between the two countries and the improvement of economic cooperation. 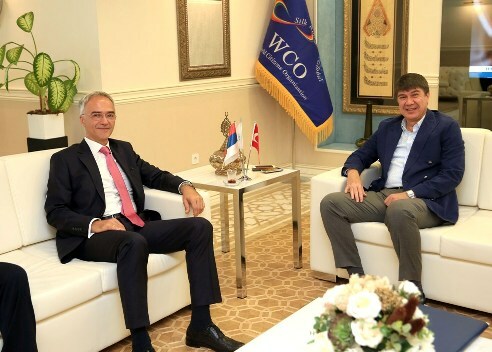 During his stay in Izmir, Minister of Education of the Republic of Serbia, Mladen Šarčević had a series of activities aimed at promoting the education system of the Republic of Serbia, and for that he met with the rectors of the two largest universities in Izmir, "9 September" and "Ege", as well as consulting company EDUNOVA. At these encounters, the possibilities of the educational system for foreign students interested in studying in Serbia were presented. Interest in intensifying cooperation in this area is mutual. Minister Šarčević also informed all participants about the fact that the department for Turkish language is increasingly represented in the educational system of Serbia, as well as our interest in opening a department for Serbian language the faculties in Turkey. 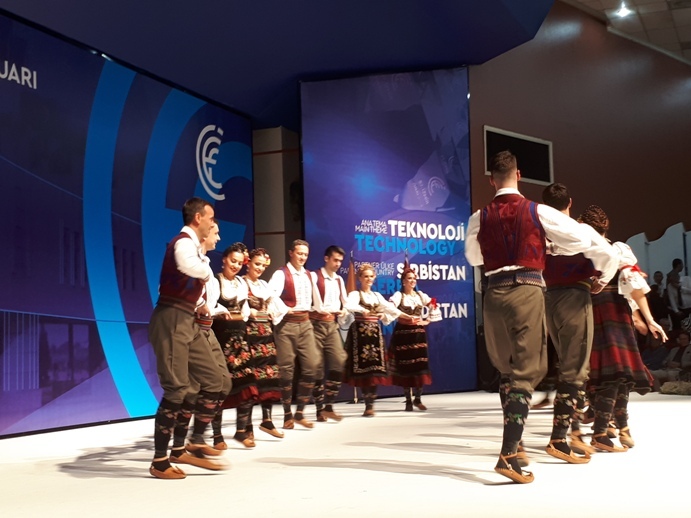 One of the leading topics of the Izmir fair was readiness to deeper cooperation in the field of science and education, especially technology. 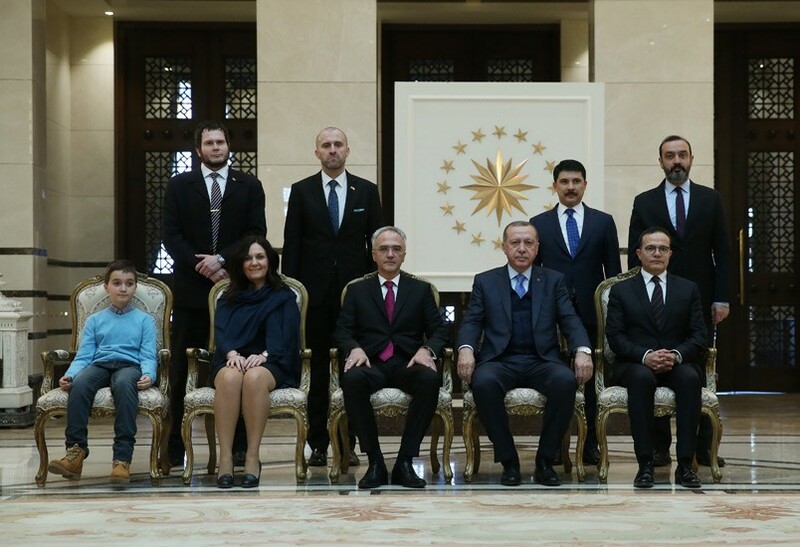 On the occasion of the celebration of the Victory Day, Turkish President Recep Tayyip Erdogan received the heads of foriegn missions in Ankara, among others Ambassador Zoran Markovic alaso attend the official ceremony. 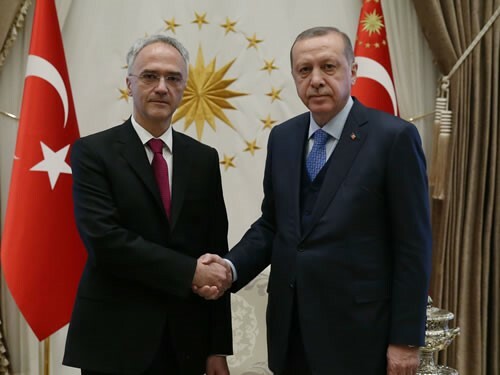 Ambassador Markovic congratulated President Erdogan with the wishes for prosperity for Turkey as well as the countinuance of great cooperation between our two friendly countries. 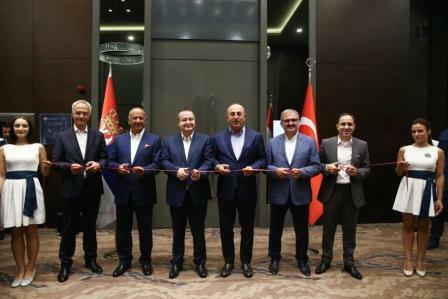 The Consulate of the Republic of Serbia in Antalya headed by Honorary Consul Mr. Fikret Ozturk was officially open on August 19, 2018 in the presence of Ministers of Foreign Affairs of the Republic of Serbia and of the Republic of Turkey H.E. Mr. Ivica Dacic and H.E. Mr. Mevlut Cavusoglu. 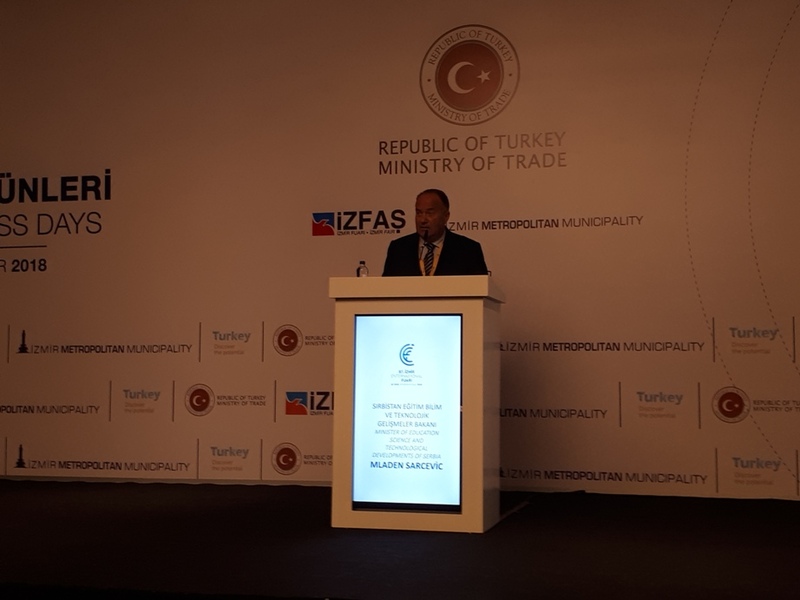 Numerous invitees from Antalya region, Governor of Antalya, Mayor of Antalya, well known businessmen attended the event. The Consulate is situated in 7 star Regnum Karya Hotel (Kadriye Bölgesi, Üçküm tepesi Mevkii, 07500 Serik/Belek) in the near proximity of the Antalya Airport. The Consulate is open with the purpose of providing consular help and protection to Serbian citizens residing or coming a tourists in Antalya. At the occasion two ministers had a bilateral meeting where the bilateral cooperation and regional issues were discussed. It was jointly stated that the bilateral relations are on a very high level to which contributed the excellent personal relations between two Presidents and which is confirmed by the frequent exchange of visits. It was repeated that the economic cooperation accordingly is in rise, that the current trade exhange is 1 bilion dolar on the annual level and that the target is actually achieving the level of 3 bilion dolar as soon as possible. The number of tourists coming from one country to another is in constant rise. At this moment about 100.000 Turkish tourists come to Serbia and 140.000 Serbian toursits comes to Turkey. These numbers are also the indicatiors of deepening of relationships, bilateral cooperation rise and mutual understanding. It is stated that Serbia and Turkey have a high level of congruence of attitudes on various international issued and that both countries should continue their work with joint forces on improving the positions of both countries on international level. Fight against terrorism, opening of cultural centers and investments are just some of the fields on which further cooperation can be widen. It was mutually confirmed that building these kinds of relationships as well as firendship of Serbia and Turkey should be continued as an investment in our future generations. Minister Dacic said once more that Serbia is open for all kind of aspects of cooperation and that Serbia is a reliable and sincere friend of Turkey. Special Envoy of the President of the Republic of Serbia H.E. 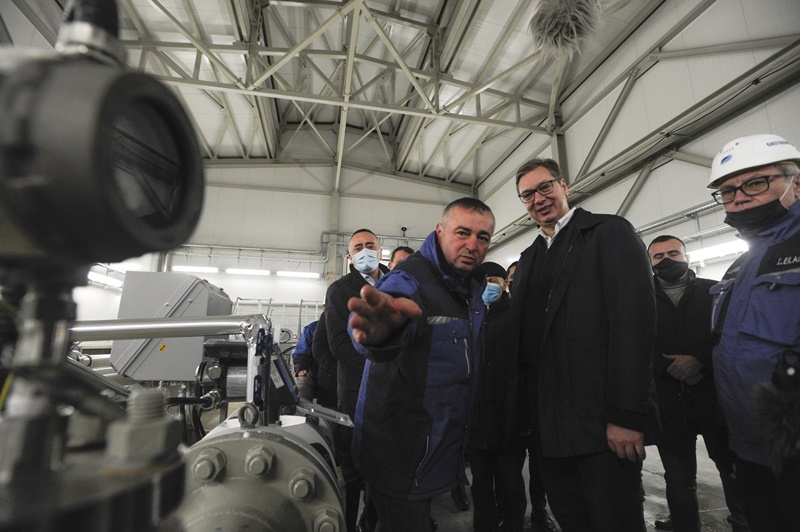 Mr. Aleksandar Vucic and Minister of Interior Affairs of the Republic of Serbia H.E. Mr. Nebojsa Stefanovic attended on August 18, 2018 the 6th Regular Congress of AKP in Ankara and had later on bilateral meeting with the Minister of Interior Affairs of the Republic of Turkey H.E. Mr. Suleyman Soylu. At the same time H.E. Mr. Stefanovic had brief meetings with the Minister of Foreign Affairs of the Republic of Turkey H.E. Mr. Mevlut Cavusoglu and President of the Republic of Turkey H.E. Mr. Recep Tayyip Erdogan to whom he forwarded the greetings of the President Vucic. After the AKP Conress finished, two Minister of Internal Affairs had a bilateral meeting where the current situation and possible directions of the future cooperation of the two ministries. Serbian Ambassador Zoran Markovic made a courtesy visit to the Governor of Antalya, Munir Karaoglu and Mayor Menderes Turel. The visit was about the opening of the Honorary Consulate of RS in Antalya, led by Honorary Consul Fikret Ozturk. During these two meetings, there were words about the importance of opening the consulate as a form of deepening the well-established relations of our two countries. The Governor and the Mayor informed that this year more than 30,000 Serbian tourists visited the Antalya region, and Ambassador Markovic informed them that Turkish tourists became the most numerous foreigners in Belgrade, with over 70,000 visits annually. Tourism has made our nations closer, and relations between the Republic of Serbia and Republic of Turkey’s leaders have created the basis for further deepening in all fields. As part of his courtesy calls, Ambassador of the Republic of Serbia H.E. Mr. Zoran Markovic visited the Governor of Ankara H.E. Mr. Ercan Topaca. 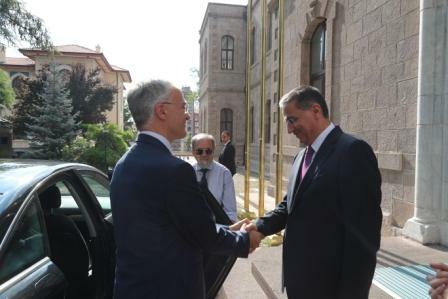 Ambassador Markovic thanked to the governor for a prompt receiving and expressed his hope in continuance of a good cooperation between Serbian Embassy and Governorship in Ankara, as a reflection of the two countries` excellent relations. Governor Topaca stated that the Governorship is ready for all kind of cooperation and that he will with pleasure always find the time for the representatives of a friendly country such is Serbia. In further conversation two officials arranged a series of activities on deepening the cultural cooperation, one of which is the hosting of the Academic Cultural -Artistic Company `Ivo Lola Ribar`. 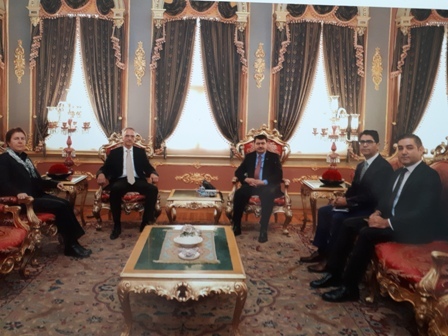 Governor took the Ambassador for a short archeological sighting from the Roma period around the backyard of the Governorship building located in the Ankara`s oldest neighbourhood. UNTIL AUGUST 1, 2018, THE CONSULAR SECTION OF THE EMBASSY WILL BE ABLE TO RECEIVE CITIZENS ON THE CONSULAR MATTERS EXCLUSIVELY ON THE BASIS OF PREVIOUSLY TAKEN APPOINTEMENTS. APPOINTMENTS MUST BE TAKEN VIA TEL.NO. 0312 426 02 36; 426 24 32 OR VIA EMAIL embserank@gmail.com. FOR ANY OTHER QUESTIONS OR INFORMATIONS CITIZENS CAN APPLY THROUGH THE TELEPHONE NUMBERS OR EMAIL MENTIONED ABOVE. Ambassador Markovic met with Mayor of Ankara Mustafa Tuna today, discussing the possibility of deepening the cooperation including the one with the city of Ankara. 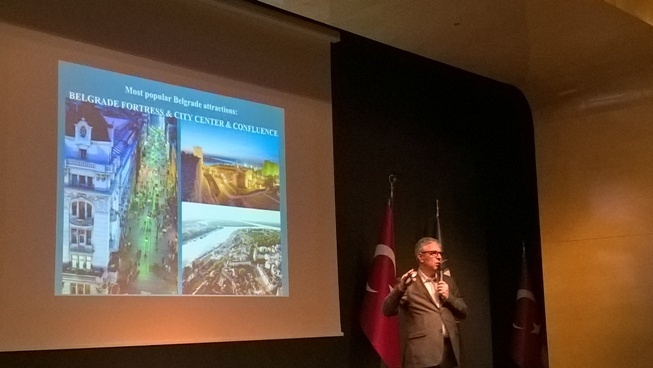 Ambassador Markovic introduced the mayor with the initiative to build a Turkish-Serbian friendship park in Ankara, where a famous battle for Ankara took place in 1402 when Sultan Beyazit and despot Stefan Lazarevic fought together on the same side. It was pointed out that the significance of this gesture would be symbolic and that it would represent the bright future of mutual Turkish and Serbian relations. In the further conversation, the possibilities of increasing the volume of mutual tourist visits were mentioned. Only a small number of citizens of Serbia visited Ankara and Cappadocia as world-known tourist destinations, and for the purpose of increasing the mutual tourism exchange, the consideration of the possibilities for the establishment a direct air line between Belgrade and Ankara would be highly recommendable. Mayor Mustafa Tuna showed interest in the twinning of Belgrade and Ankara as the capital of two friendly countries. He promised that he would soon come up with a proposal for a specific location for the Friendship Park. 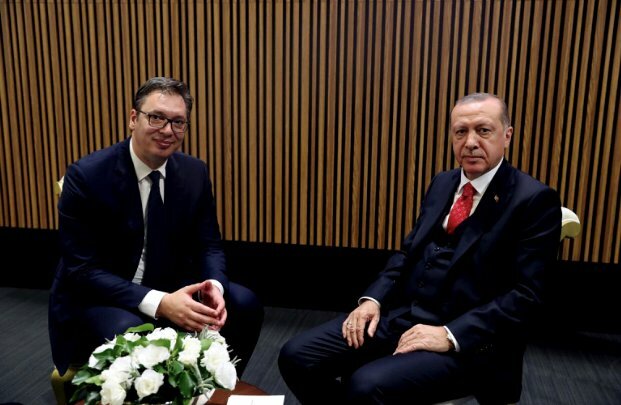 Serbian President Aleksandar Vucic telephoned to Turkish President Recep Tayyip Erdogan and congratulated him on the victory accomplished on the presidential and parliamentary elections in Turkey. In their conversation, President Vucic underlined the significance of the friendship with Turkey and stated his certainty of this election victory being a new victory on the road of prosperity and well-being of Turkey. Serbian President extended his most sincere congratulations to his Turkish colleague and wished him a lot of success during his responsible duty. On the contrary of the Brussels Agreement, temporary local government in Prishtina do not allow the entrance to the Autonomous Province of Kosovo and Metohya to the citizens of the Republic of Serbia holders of the passports of the Republic of Serbia issued by Autonomous Province Kosovo and Metohya Coordination Directorate of the Ministry of Interior of the Republic of Serbia. When entering the Autonomous Province of Kosovo and Metohya, citizens of the Republic of Serbia are advised to use their ID cards issued by the concern authorities of the Republic of Serbia. During an official visit to Istanbul, the Ambassador of the Republic of Serbia in Turkey Zoran Markovic visited the associations of our emigrants in Pendik and Bajrampasa. These associations bring together the largest number of emigrants and their descendants from the territory of the former Yugoslavia, primarily Bosnias from the Raska region in the Republic of Serbia, as well as Bosnia and Herzegovina and Montenegro. Ambassador Zoran Marković, on this occasion, presented several packages of textbooks for learning Bosnian for younger students (elementary), which is part of a wider project realized with the support of the Ministry of Education of the Republic of Serbia and several sponsors, members of our emigrants in the Republic of Turkey. The aim is to bring our language, tradition and culture closer to the youngest generations of the emigrants. Ambassador Zoran Markovic emphasized in his interview with the management and members of the association that knowledge of language, tradition and culture is important for maintaining relations with the mother-counrty. The goal should not only be to obtain a travel document from the Republic of Serbia, while young generations do not know the basic information and facts about the country from which their parents and ancestors come. In this context, modalities of further cooperation in the field of education and education were considered. The next steps are the organization of language courses in Istanbul, as well as in Ayvalik, a famous Turkish resort where traditionally most of our emigration rest during the summer holidays. In this way, the youngest would learn our language and acquire basic knowledge about the Republic of Serbia through play and entertainment. 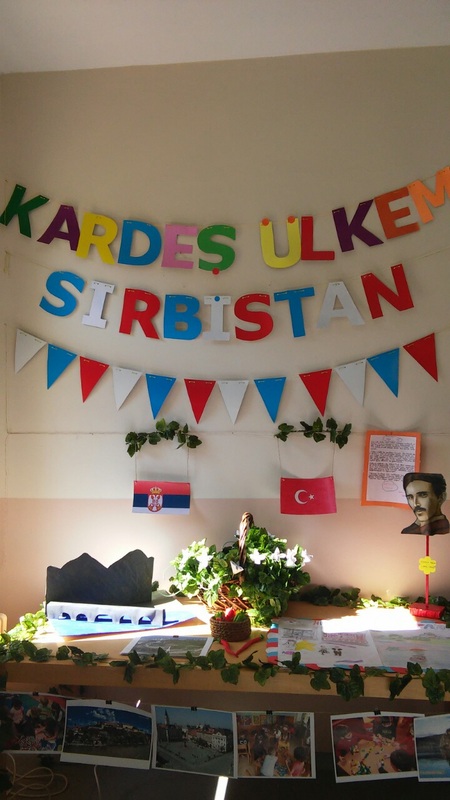 Our emigrants also expressed interest in establishing institutional cooperation between schools in the Republic of Serbia and the Republic of Turkey, as well as for student exchange programs, and attending summer sports camps (basketball, tennis, etc.) in the Republic of Serbia. Ambassador Zoran Marković, at the invitation of the President of the Association "Bosnia - Sandžak" from Pendik, on June 2, o.g. will attend the large Ramsan Iftar in this Istanbul municipality, which is expected participation of large number of prominent figures from the political and public life of Istanbul and the Republic of Turkey. In addition, meetings were also used for discussions on other consular issues of interest to the population of our emigrants in the Republic of Turkey, primarily topics related to the acquisition of citizenship and travel documents of the Republic of Serbia. Starting from June 2, 2018, holders of all passports of the Republic of Burundi will be able to enter, transit and reside on the territory of the Republic of Serbia for 30 days in the period of one year counting from the first entry. All the citizens of Burundi planning to stay in Serbia for more than 30 days within a year must apply for visa in a nearest Serbian Embassy, before entering Serbia. Starting from June 2, 2018, national passport holders of the Republic of Azerbajian will be able to enter, transit and reside on the territory of the Republic of Serbia for 90 days in the period of 180 days counting from the first entry. 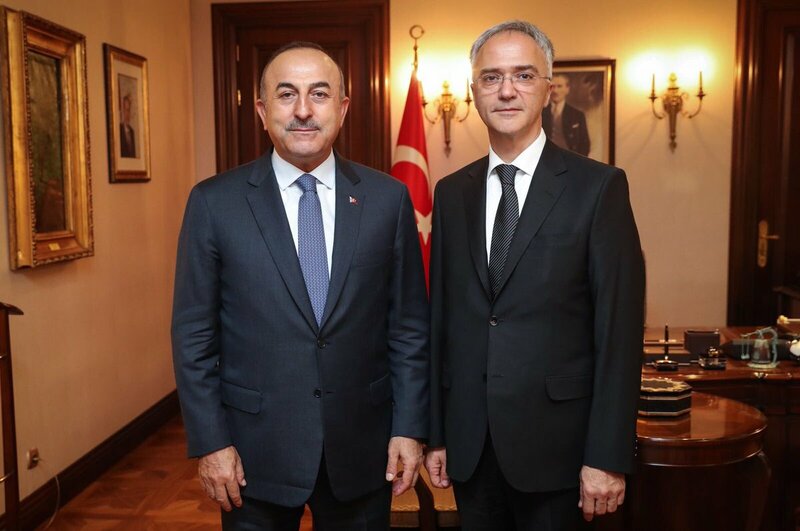 Minister of Foreign Affairs of the Republic of Turkey Mevlut Cavusoglu received today ambassador Zoran Markovic. During the meeting both of them expressed their satisfaction with the current relations of two countries that have been at the highest level in the contemporary political history. Minister Cavusoglu stated that the autumn visit of the president Erdogan to Serbian and recent visit of the President Vucic were of a historical importance. Opening of the Honorary Consulate of Serbia in Antalya, `Morava` airport in Kraljevo and opening of a friendship park in Ankara were also discussed on the meeting. Regional issues, such as the situation in Bosnia and Herzegovina, were also mentioned. Ambassador Markovic underlined that Turkey plays a very constructive role in the stability of the region, especially from the aspect of the relationships between Serbs and Bosniaks. It is agreed on the extension of good contacts and cooperation. Delegation of Serbian Ombudsman headed by Mr. Zoran Pasalic Protector of Citizens of Serbia made an official visit to Ankara. In the presence of Serbian Ambassador to Turkey H.E. Mr. Zoran Markovic, two ombudsmen, Mr. Zoran Pasalic on Serbian side and Mr. Seref on Turkish side, signed the Memorandum on cooperation between Ombudsman Office of the Republic of Serbia and Ombudsman Institution of the Republic of Turkey. This Memorandum will be a solid base for improving further cooperation. Serbian delegation was receiven by the President of Grand National Assembly of Turkey H.E. Mr. Ismail Kahraman who stated his pleasure about the successful cooperation of two institutions of the two countries. Serbian Ombudsman delegation visited also The Human Rights and Equality Institution of Turkey. 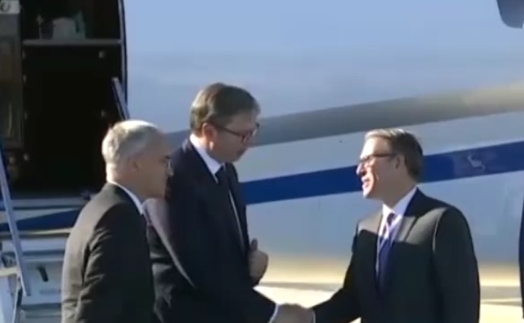 At the beginning of his two-day official visit to Turkey, President of the Republic of Serbia H.E. Mr. Aleksandar Vucic came to Istanbul where he was welcomed at the airport by President of the Republic of Turkey H.E. Mr. Recep Tayyip Erdogan with the military parade. 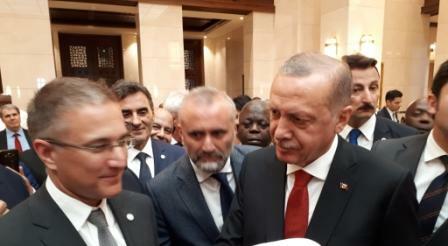 Later on, two presidents participated at Turkish-Serbian Business Forum attended by Serbian and Turkish businessmen. 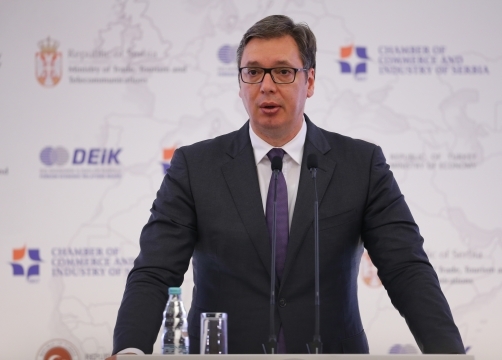 In his speech to the businessmen, president Vucic underlined that the relations of the two country are better than ever, but more effort must be shown in the areo of economic relations. He thanked to president Erdogan and Turkish investors for having invested in small cities and the ones affected by the recent floods where the investors from other countries did not want to invest. He stated that the future potential for cooperation is very vast, especially in industries of textile, food and agriculture. He made an appeal to Turkish investors to continue investing into Serbia and reminded that the trade exchange has grown over 9 times in last 10 months. 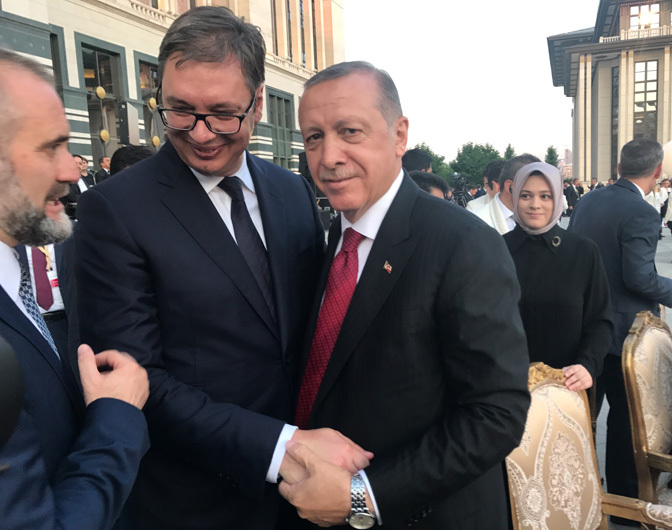 President Vucic expressed his gratitude to president Erdogan for the ceremonial welcome at the airport adding that Turkey should know that it can always count on Serbia, as well as that Serbia knows that it can count on Turkey. In his speech at Forum, president Erdogan said that Serbia is a friendly state to Turkey and it is a key country for the peace and stability of the Balkans. He said that both sides have a strong will for improving the existing good cooperation even more and that he also hoped that the trade exchange that passed 1 billion dollars, will rise soon to 2 billion dollars because there are so many big opportunities for all kind of investors for investing in the Balkans. The next day, president Vucic met in Ankara Charimen of the Grand National Assembly of Turkey H.E. Mr. Ismail Kahraman with whom he discussed the bilateral relations. Two statemen concluded that the preservation of the stability in the region of South Easter Europe and enforcing the regional cooperation, in which the part of Serbia and Turkey is very important, in the interest of the both countries, as well as the region itself. Before this meeting president Vucic visited the mausoloeum of Mustafa Kemal Ataturk, and later on met with the Turkish president Erdogan. 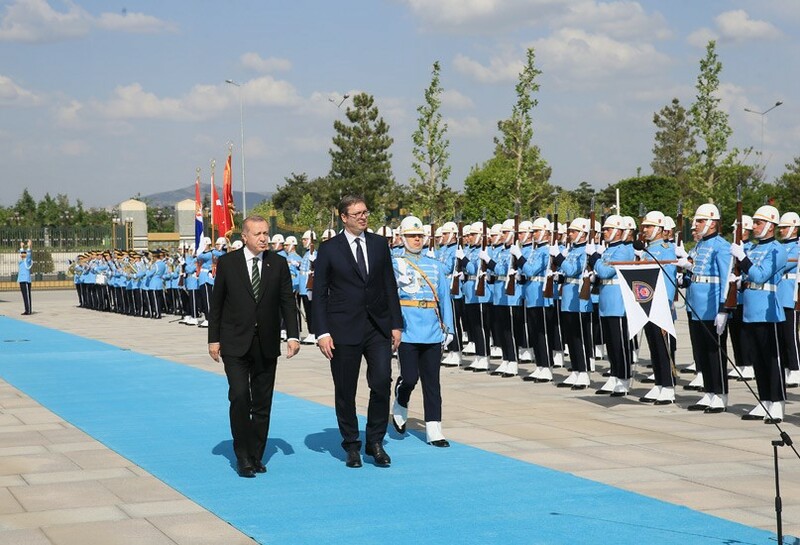 President of the Republic of Turkey Recep Tayyip Erdogan organized a special ceremonial welcome for the president of the Republic of Serbia Aleksandar Vucic i front of the Presidential complex in Ankara. After the meeting of two presidents, they held a press-conference where the Serbian president thanked for the magnificent welcome ceremony and president Erdogan`s strong will for rising of the economic cooperation at the highest level possible. Two presidents opened the first session of the High Council for Cooperation of Turkey and Serbia. During this session, agreements on transport, IT, energy, agriculture, ecology and police cooperation were signed. It is stressed that these agreements as welle as the couple of road infrastructural project, one of them Belgrade-Sarajevo high way, will be the elements for improval the cooperation in the next period. President Vucic stated that he values a lot the appeal of president Erdogan at the Forum and in Ankara to the investors to come and invest to Serbia since it is a positive signal for the investors and at the same time a gesture of the friendship towards Serbia. President Erdogan underlined thet the experience exchange and development of the infrastructural project contributing to regional development, peace and prosperity, will be continued. 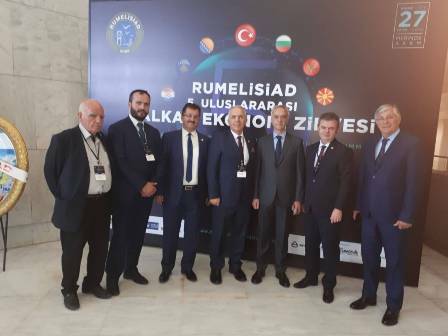 On April 27th, Ambassador Zoran Markovic participated on the Fifth International Economic summit of businessmen from Turkey, originating from the Balkans in Bursa, on the invitation of the President of the association RUMELISIAD. He was speaking at the rally between the vice-presidents and the Turkish minister of Turks Turk Hakan Çavuşoğlu. 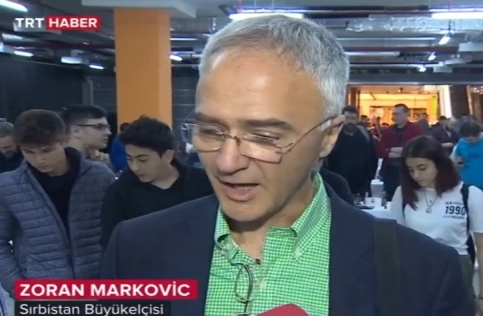 Ambassador Zoran Markovic also addressed the rally, immediately behind the president of RUMELISIAD Erol KILIKÇIER. Referring to the inaugural visit of the President of the Republic of Serbia, A. Vucic, and its great importance, he said that the economy is the basis of a successful family, society and the state as a whole, as well as the relations between the states, and so between our two countries of Serbia and Turkey. Economic cooperation plays a key role in the very good political relations between Belgrade and Ankara. In this context, he specifically emphasized the importance of the circular highway Belgrade – Sarajevo, for the development of Serbia and Bosnia and Herzegovina, as well for the inter-ethnic relations between Serbs and Bosnians. According to the amendments of the Law on Citizenship, article 3, it is stated that any citizen of Social Federative Republic of Yugoslavia or citizen of another republic of SFRY respectively any citizen of another country created on the territory of SFRY that on the day of December 31, 2016 and on the day of the application has a registered resident adress in the Republic of Serbia, may apply for the citizenship of the Republic of Serbia. The citizenship applications must be done in the period of one year since the day of the entry into force of the above mentioned law that is before April 3, 2019. 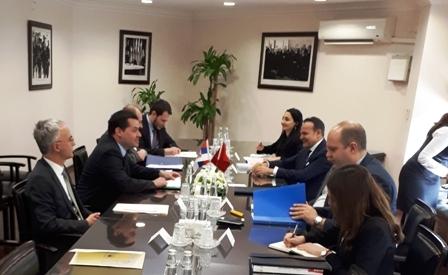 Bilateral political consultations between the Ministries of Foreign Affairs of the Republic of Serbia and the Republic of Turkey, were held on April 17, 2018 in Ankara. 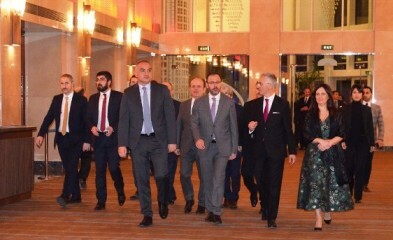 Serbian delegation was headed by the State Secretary Nemanja Stevanovic and Turkish one was headed by Undersecretary Ambassador Slobodan Vukčević and Serbian Ambassador to Turkey, Zoran Marković. During the meeting all important bilateral issues in the two countries relations were discussed and it was concluded that the relations are in generally at a very good level. It was particularly emphasiyed that there is a lot of space for further relations development in the sphere of economy, trade and investments.Both parties stressed also the importance of fortcoming official visit to the Republic of Turkey of the President of the Republic of Serbia Aleksandar Vučić. The current issues in the Western Balkans and the Middle East were mentioned as well. Regular dynamics of holding the political consultations was determined, too. 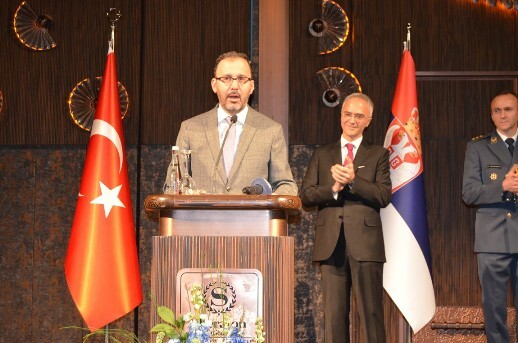 Ambassador of the Republic of Serbia in Ankara H.E. Mr. Zoran Markovic made a courtesy call to the Gouvernor of Istanbul Mr. Vasip Sahin. Ambassador H.E. Mr. Zoran Markovic made a courtesy call to the Mayor of the Metropolitan Municipality of Istanbul Mr. Mevlut Uysal. During the visit initiated projects were discussed and it was especially stressed the significance of the project of the twinning of Belgrade and Istanbul that will be a new line in the expanding of bilateral relations of Serbia and Turkey. Ambassador of the Republic of Serbia in the Republic of Turkey H.E. Mr. Zoran Markovic made a courtesy call to His All Holiness Ecumenical Patriarch. His All Holiness Archbishop of Constantinople and New Rome Ecumenical Patriarch Bartholomew I and the Ambassador had a cordial meeting. Ambassador informed His All Holiness about the current situation at Kosovo and Metohija and they exchanged their views on the problem of unrecognized so called MPC – Macedonian Orthodox Church. H.E. Mr. Zoran Markovic presented to H.E. Mr. Recep Tayyip Erdogan the credential letters. 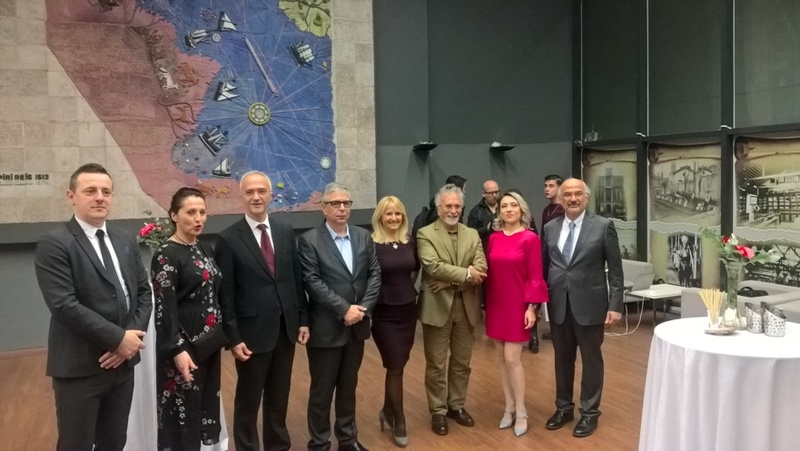 During the presentation of the letters, Ambassador was accompanied by his family members, spouse Mrs. Tatjana Markovic and son Mr. Andrej Markovic, as well as by the Embassy members, Counsellor Mr. Slobodan Radeka and Vice Consul/Third Secretary Mr. Stefan Stamenic. After the formal ceremony, Ambassador had a comprehensive conversation with the Turkish President. Министарство спољних послова, Управа за сарадњу са дијаспором и Србима у региону, расписује једном годишње Конкурс за суфинансирање пројеката који својим квалитетом доприносе очувању и јачању веза матичне државе и дијаспоре, као и матичне државе и Срба у региону, а који ће ове године трајати у времену од 12. до 30. марта 2018. године. President of Parliament of Jagodina, president of the United Serbia Party and a long term member of Parliament Mr. Dragan Markovic-Palma visited Ankara on March 13, 2018 upon the invitation of Mr. Huseyin Sahin Turkish MP representing AKP from Bursa. The day before in Istanbul Mr. Markovic had a several meetings with some significant Turkish businessmen. 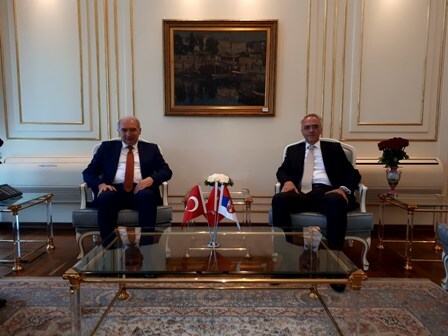 In Ankara he met Deputy Chairman of AKP in charged of foreign affairs Mr. Mehdi Eker, President of the Parlamentary Friendship Group between Turkey and Serbia Prof. Dr. Mustafa Isen, as well as Mr. M. Kasim Gulpinar President of the Parliamentary Committee for EU Affairs. At the end of the visit Mr. palma was received by Deputy Prime Minister Hakan Cavusoglu and Chairman of Turkish Parliament Ismail Kahraman. Through all the meetings both sides emphasized their pleasure over the fact that the two countries`s relations reached very high level of cooperation. Mr. Markovic appealed to Turkish investors to come and invest in Serbia and help the economic exchange to exceed current 900 million euro. 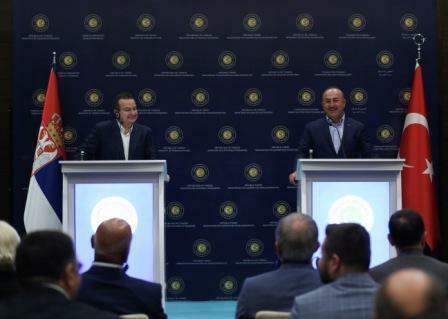 Deputy prime Minister Cavusoglu as well as the Chairman of Parliament Kahraman stressed the importance of Serbia as the key country of the Balkans and the readiness of Turkey to improved their relations with Serbia in all aspects. Prof Dr. Mustafa Isen added that if Turkey wants to have good relations with the Balkans, it must have firstly good relations with Serbia. Starting from March 8, 2018, the citizens of Georgia, bearers of regular passports, can enter or transit through the territory of the Republic of Serbia with no prior visa needed. The maximum stay is 30 days (counting from the entry date) in 1 year period. In the above mentioned cases you need to apply to a nearest Serbian Embassy/Consulate for visa application. Starting from October 14, 2017, the citizens of the Republic of Indonesia, bearers of regular passports, can enter or transit through the territory of the Republic of Serbia with no prior visa needed. The maximum stay is 30 days (counting from the entry date) in 1 year period. Starting from September 02, 2017, the citizens of the Republic of Indonesia, bearers of official and diplomatic passports, can enter or transit through the territory of the Republic of Serbia with no prior visa needed. The maximum stay is 30 days counting from the entry date. Starting from September 08, 2017, the citizens of the Kingdom of Thailand, bearers of official and diplomatic passports, can enter or transit through the territory of the Republic of Serbia with no prior visa needed. The maximum stay is 90 days counting from the entry date. Starting from September 02, 2017, the citizens of the Islamic Republic of Iran, bearers of regular passports, can enter or transit through the territory of the Republic of Serbia with no prior visa needed. The maximum stay is 30 days (counting from the entery date) in 1 year period. Starting from September 02, 2017, the citizens of the Republic of India, bearers of regular passports, can enter or transit through the territory of the Republic of Serbia with no prior visa needed. The maximum stay is 30 days (counting from the entery date) in 1 year period. Starting from July 13, 2017, the citizens of the Kyrgyz Republic, bearers of official and diplomatic passports, can enter or transit through the territory of the Republic of Serbia with no prior visa needed. The maximum stay is 90 days counting from the entry date. Starting from June 12, 2017, RTS Satelit TV program and Radio Beograd 1 radio program are not broadcast via satellite Eutelsat 16E. These programs are transmitted via satellite Astra 3B, orbital position 23,5 E and Astra 4A, orbital position 4,8E. Starting from July 15, 2017, the programs will be broadcast exclusively via satellite Astra 4A. A a part of the Adana International Theatre Festival organised by the State Theatre in that city, National Theatre in Belgrade performed in southern-east Turkish city of Adana the play `Antigone` twice, on April 29 and 30. The play was highly visited and enjoyed by Turkish audience. Ambassador D. Vucetic and Counsellor S. Radeka attended the play on Aprile 29. 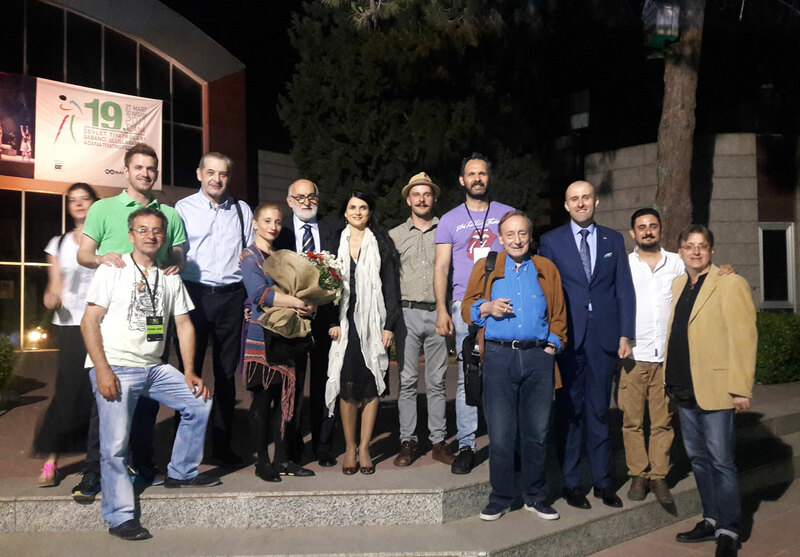 The actors from the National Theatre in Belgrade expressed their gratitude to the Embassy for all the support it gave to their arrival to Turkey and visit to Adana. The Embassy was involved into so called cultural diplomacy and the promotion of Turkish-Serbian cultural relations. The Embassy will continue to support in any ways possible the cultural relations of our two country. On Wednesday, May 3, H.E. Mr. Danilo Vučić, Ambassador of the Republic of Serbia in Turkey, paid a courtesy call on H.E. Mr. Ismail Kahraman, Speaker of the Grand National Assembly of the Republic of Turkey. Various topics concerning bilateral relations were discussed, while accentuating the significance of strengthening cooperation between the two parliaments. The consultations were held on March 31. 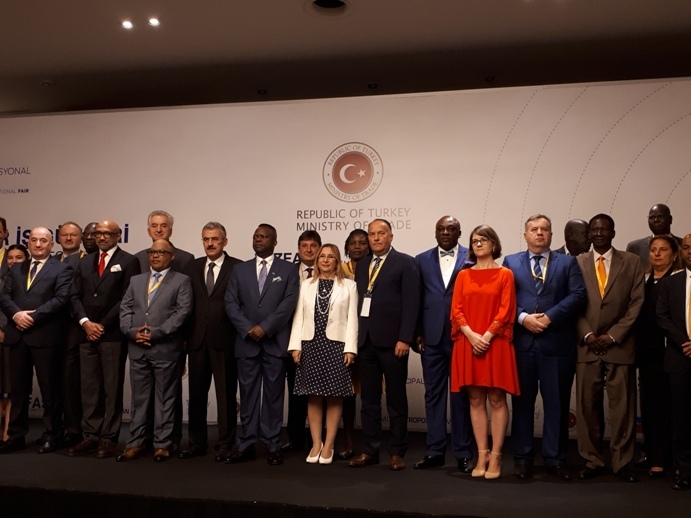 The delegations were headed by Mr. Branimir Filipovic, Ambassador, Assistant Minister of Foreign Affairs of the Republic of Serbia, and Mr. Ahmet Muhtar Gün, Ambassador, Deputy Undersecretary of the Ministry of Foreign Affairs of the Republic of Turkey. The Address of the Embassy of the Republic of Serbia from January 1, 2017 is Yazanlar Sok. No 1, Kavaklidere, Ankara, Turkey. Sırbistan C. ve ÇİN H.C. arasında umumi pasaport hamililere karşılıklı vize muafiyeti sözleşmesinin uygulaması 15 Ocak 2017 tarihinde başlamaktadır. Sözkonusu tarihinden itibaren, iki ülkenin umumi pasaport hamili vatandaşları ülkeye giriş tarihinden itibaren öbür ülkede vizesiz olarak 30 gün geçmemesi kaydıyla giriş, transit ve ikamet edebilecekler. The Agreement between the Government of the Republic Serbia and the Government of the People's Republic of China on the mutual abolition of visa requirements for holders of ordinary passports will enter into force on 15 January 2017. Since that date, the citizens of both countries, holders of ordinary passports are eligible for entry, transit and residence in the territory of other Party without visas, for up to 30 days from the date to entry. During the "Week of Francophonie" in Turkey, the Serbian film "We'll be champions of the world" directed by Darko Bajic, will be shown in cinema Cer Modern, March 20, 2016 at 18.00 hours. The Agreement between the Government of the Republic of Serbia and the Government of Georgia on the abolition of visa requirements for diplomatic and official passport holders, will enter into force on February 13, 2016. Starting from this date diplomatic and official passport holders of both countries will be able to enter, transit and reside on the territory of the latter country for 90 days in the period of 180 days counting from the first entry. Afrer wathcing the documentary, it is obvious why the Republic of Serbia is against the admission of "Kosovo" to UNESCO. • Because the request for its membership is a serious breach of the international law, the Constitution of UNESCO, the legally binding UN Security Council resolution 1244 (1999) andt he Charter of the UN whose Article 25 says that „The Members of the UN agree to accept and carry out the decisions of the Security Council in accordance with the present Charter“. • Because according tothe UN Security Council resolution 1244,which reaffirms the sovereignty and territorial integrity of the Federal Republic of Yugoslavia (now Serbia), Kosovo and Metohija is an integral part of the Republic of Serbia, under the administration of the UN. Since Kosovo cannot be considered a State, it does not fulfill the basic requirement for membership set out by the UNESCO Constitution. 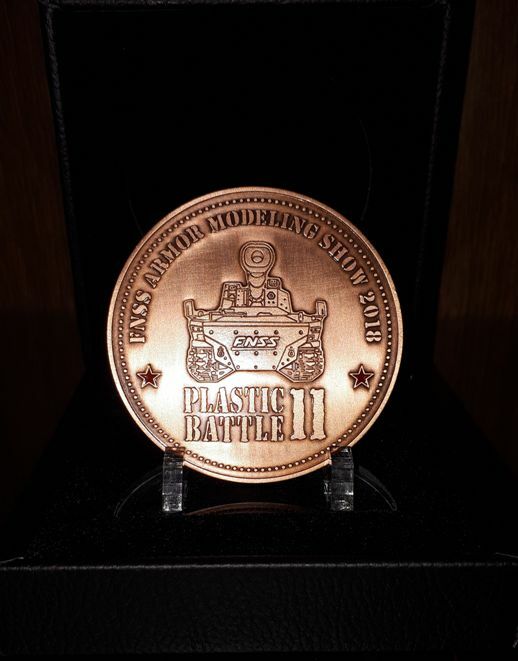 • Because unilateral attempts such as this one seriously harm and disrupt the dialogue between Belgrade and Pristina, under the auspices of the European Union in which mutually acceptable solutions for many complex issues have been devised so far.The issue of the Serbian cultural heritage and the property of the Serbia Orthodox Church has not yet been discussed within the dialogue where it belongs. • Because the inclusion of this item in the provisional agenda of the 197th session of the UNESCO Executive board raises serious concerns about the compliance with procedure and the respect of the established UNESCO rules. Just to mention that that even publishing of the document on the unacceptability of Kosovo’s application for UNESCO membership from the standpoint of the international law, prepared by Serbian Delegation to UNESCO ,as an official document, as we requested, was refused. And the only intention was the voice of Serbia also to be heard. • Because we all would have to live with the negative consequences of such an irresponsible decision from the lesioning of the international law up to the fate of the Serbian cultural heritage in the province of Kosovo and Metohijawhich not only belongs to the Serbian people but also represents a part of the historical and civilizational heritage of modern Europe and the world. The Embassy of the Republic of Serbia in Ankara express its most sincere condolences to the Republic of Turkey and its people for the loss of the great number of human lives in today's explosions in Ankara in which lot of people lost lives and were wounded. For details of the payments instruction interested donors can contact this Embassy. The Embassy of the Republic of Serbia to the Republic of Turkey hereby informs that the Agreement between the Government of the Republic of Serbia and the Government of Moldova on the abolition of visa requirements for citizens of the two countries, will enter into force on August 6, 2015. Citizens of the two countries, holders of valid biometric passports are exempted from visa for entry, exit and transit through the territory, as well as to stay in the territory of the other side, in the period up to 90 days within a period of 6 months from the date of first to entry . The delegation of the Ministry of Foreign Affairs of the Republic of Serbia, headed by H. E. Mrs. Roksanda Ninčić, Ambassador, the State Secretary of the Ministry, and delegation of the Ministry of Foreign Affairs of the Republic of Turkey, headed by H. E. Mr. Feridun Sinirlioğlu, Ambassador, Undersecretary of the Ministry, held bilateral political consultations in Ankara, June 29, 2015. The Government of the Republic of Serbia has decided that citizens of Qatar, Kuwait, Oman and Bahrain can travel to Serbia without obtaining a visa. The decision shall enter into force on 30 June 2015 and applies to all types of travel documents, except for emergency travel documents- laissez passer and travel documents issued in accordance with international treaties, and if there are no obstacles from Article 11 of the Law on Foreigners of the Republic of Serbia. Citizens of the aforementioned countries may reside in Serbia in duration of 90 days over a period of 6 months starting from the date of first entry. It is also possible, as so far, to give financial assistance through „Pay Pal“ system, with the instructions described on the web site of our Embassy or the Ministry of Foreign Affairs of the Republic Serbia. Counsellor of the Embassy, Mr. Slobodan Radeka, gave a lecture to the children in two Ankara elementary schools, „Nusretin Fisek“ and „Tugay Ozliyen“. He talked about historical, cultural and other characteristics of Serbia. Children asked different questions. Various games that are played by children in Serbia were shown to the Turskih children. Speaker of the National Assembly Maja Gojkovic paid an official visit to Turkey, during which she met with the President of the Grand National Assembly of Turkey Cemil Cicek, Turkish President Recep Tayyip Erdogan and Prime Minister Ahmet Davutoglu. During the meetings in Ankara all aspects of bilateral relations were discussed and it was emphasized that Serbia and Turkey have a clear interest in improving relations in various fields, especially in economy, trade and in the field of infrastructure. Promotion of the New Turkish-Serbian Dictionary, written by Serbian author Ms Marija Djindjic and published by Turkish Linguistic Association, was held tonight in the Residence of the Serbian Ambassador, in the presence of the author. At the „Farabi“ Salone of the Ankara University, the Faculty of Humanities, in the co-organization of the Embassy of the Republic of Serbia and „TIKA“ Agency, within the frames of the 5 th „Sefika Kutluer“ International Music Festival, the Belgrade Chamber Orchsetra „Pro Classica“ gave a concert. The Performance was very successful. At the session held on October 30, 2014, the Government of the Republic of Serbia has adopted the Decision on visa free regime for the holders of foreign travel documents who have valid Schengen visa, UK visa, visa of other EU member state or USA visa. This Decision also applies to the holders of foreign travel documents who have valid residence permits in the countries of Schengen Area, EU member states or USA. Above listed holders of foreign travel documents can enter, transit or stay in the Republic of Serbia for maximum period of 90 days, within the period of 6 months, while the length of stay should not be longer than the period of validity of the said visa or residence permit. This Decision will not apply to the holders of emergency travel documents (Laissez – Passer) or travel documents issued on the basis of international conventions. The Decision shall enter into force on November 8, 2014. 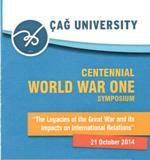 Ambassador Danilo Vučetić participated at the Symposium ''Centennial World War One – The Legacies of the Great War and its Impacts on International Relation'', that was held at Çağ University of Adana. The delegation of the Rectorate of the University of Belgrade, headed by rector, Prof. Dr. Mr. Vladimir Bumbaširević, has visited the Ankara University. Rector of the University of Belgrade Mr. Bumbaširević and rector of the the Ankara University Mr. Ibis have signed the Protocol on Academic Cooperation, as the first step in the cooperation between two esteemed institutions. Visiting the Mediterranean province and city of Antalya Ambassador Vučetić had meetings with the Governor of Antalya, Mr Turan Eren, the Mayor of Antalya Metropolitan Municipality, Menderes Turel and the President of Antalya Chamber of Commerce, Mr. Cetin Budak. During this visit Ambassador Vučetić also met with Serbian people living in Antalya. In today's meeting between Ambassador Vucetic and Minister of National Education of Turkey and co-chairman of the Joint Committee for Economic Co-operation between Serbia and Turkey, Nabi Avci, all aspects of bilateral cooperation were taken into consideration. Ambassador Vucetic met today with the Minister of Economy of the Republic of Turkey, H.E. Mr. Hihat Zeybekci. The opportunities for the enhancement of economic cooperation were discussed during the meeting. Minister of Foreign Affairs of the Republic of Turkey Ahmet Davutoglu signed today the Book of Condolence opened at the Serbian Embassy in Ankara, following the catastrophic floods and loss of human lives. The Serbian government declared at its session today three days of mourning over the death and suffering of a large number of citizens in the floods, to be observed on 21, 22 and 23 May 2014. The Embassy of the Republic of Serbia in Ankara, with deepest regret, informs hereby the esteemed Turkish public about consequences of the catastrophic floods, which took place in our country, the Republic of Serbia, in which people lost lives and enormous material damage was done. Tens of thousands of people have been evacuated and placed in collective accommodation facilities. The accommodation conditions are hard and there is a possibility that different diseases and other medical problems emerge. Crops, houses, roads, schools have been destroyed. For the donations of medicines and medical equipment please contact the Embassy. Ambassador Vučetić received today our students who study at the various universities in Ankara. The Ambassador wished to all of Serbian students a successful stay in Ankara, emphasizing that in the Serbian Embassy they can always find their second home. 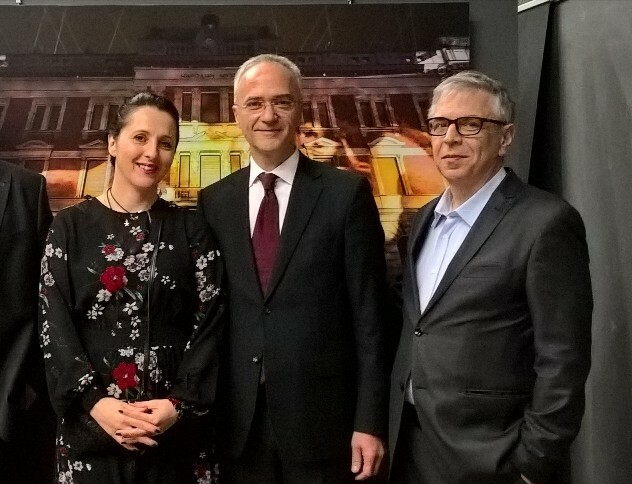 Ambassador Danilo Vučetić and Counsellor Slobodan Radeka have visited the city of Bursa, where they have attended the Play „Henry the Sixth“ of the Belgrade National Theater, which took place in the State Theater of Bursa. The Embassy of the Republic of Serbia to the Republic of Turkey hereby informs that in the Year of 2014, Tenth Anniversary of the March Pogrom, that took place on March 17, 2004, at Kosovo and Metohija, will be marked in the Republic of Serbia. 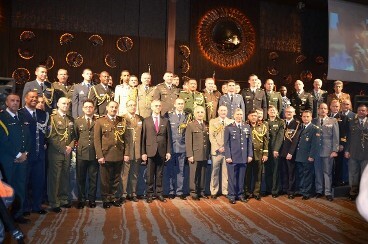 On the occasion of the National Day and Armed Forces Day of Serbia, a reception was held in the Residence of the Ambassador of Serbia in Ankara hosted by the Ambassador of the Republic of Serbia H.E. Mr Danilo Vu;etic and Defense Attache Mr Goran Milosevic and their spouses Mrs. Zorica and Mrs. Mirjana. 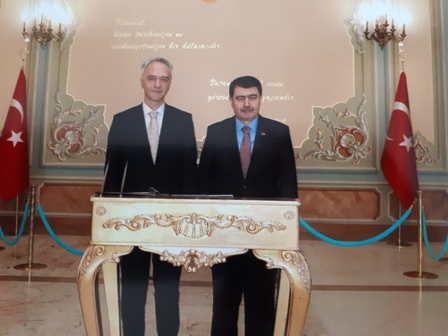 The new Ambassador of the Republic of Serbia to the Republic of Turkey, H. E. Mr. Danilo Vucetic presented today at the Presidential Palace credentials to the President of the Republic of Turkey, H. E. Mr. Abdullah Gul. Serbia’ s First Lady H. E. Mrs. Dragica Nikolić has, upon the invitation of the First Lady of Turkey H. E. Mrs. Hayrunnisa Gul, payed a vist to Ankara on June 23-24, 2013. The Faculty of Philology of the Belgrade University, Serbia, has started the Programme of Learning the Serbian Language at a Distance, which represents well designed course, available to Serbian Diaspora, Students of the Slavonic Studies abroad and to all the people, who are interested in learning the Serbian Language. Serbia will use its best efforts to intensify regional cooperation, so that the region is politically and economically stable, said H.E. Mr. Tomislav Nikolic, President of the Republic of Serbia, in Ankara. At the trilateral summit, Serbia, Turkey and Bosnia and Herzegovina concluded that progress has been made in the political affairs of there states and now there is a need to improve economic cooperation. President Nikolic urged Turkey not to lobby for Kosovo's membership in international organizations. H. E. Mr. Rasim Ljajić, Deputy Prime Minister and Minister of Foreign and Internal Trade and Telecommunications of the Republic of Serbia, has signed today, together with Turkish Minister of Economy, H. E. Mr. Zafer Caglayan and Bosnia-Herzegovina Minister of Foreign Trade and Economic Relations H. E. Mr. Mirko Šarović, the Declaration on Economic and Trade Cooperation between three countries. The Declaration includes enhacements of trade and economic relations between three countries, as well as joint access to third and fourth countries. Serbian Ambassador to Turkey H. E. Mr. Dušan Spasojević has payed a working visit to province and city of Trabzon. Guvernor Recep Kizilcik and mayor Orhan Gumrukcuoglu have expressed their readyiness for enhacement of the cooperation of the Trabzon city and province with the Republic of Serbia. Deputy Prime Minister and Minister of Foreign and Internal Trade of the Republic of Serbia H. E. Mr. Rasim Ljajić has met today in Ankara with the Minister of Economy of the Republic of Turkey H. E. Mr. Zafer Çağlayan and Minister of Foreign Trade and Economic Relations of Bosnia and Herzegovina H. E. Mr. Mirko Šarović, which was the first Trilateral Economic Meeting between three countries. The Embassy of the Republic of Serbia to the Republic of Turkey hereby informs that in the Year of 2013, the Ninth Anniversary of the March Pogrom, that took place on March 17, 2004, at Kosovo and Metohija, will be marked in the Republic of Serbia. 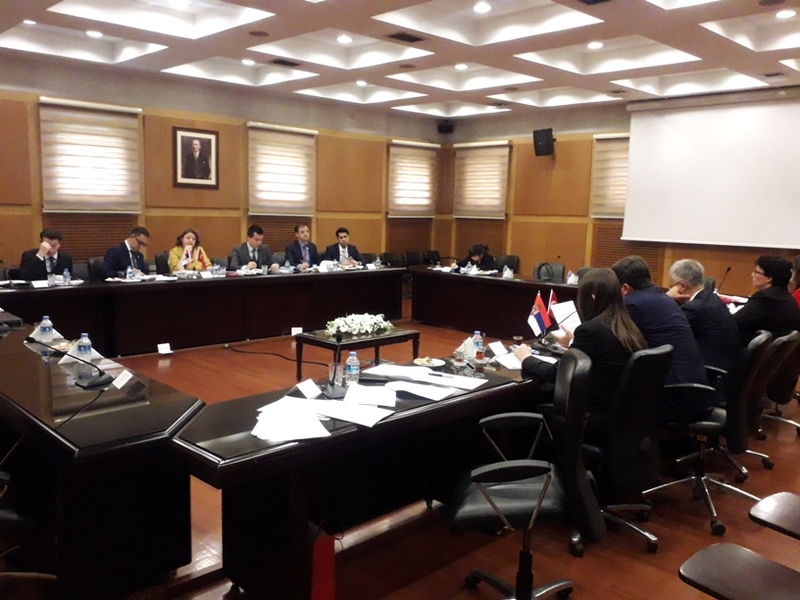 The Second Session of the Serbia – Turkey Joint Economic Committee took place in Ankara on March 13 and March 14, 2013, and it got together many experts from the concerned Ministries of the Republic of Serbia and the Republic of Turkey. Having in mind the significance and the impact of the Edict оf Milan on the church, state and social life since the age of the Roman Emperor Constatine the Great, who was born in Niš, the Republic of Serbia, until our time, the Embassy of the Republic of Serbia in Ankara informs hereby that the Year of 2013 has been declared in the Republic of Serbia as the Year of Edict of Milan Anniversary Celebration. Minister of Justice and Public Administration of the Republic of Serbia, Mr Nikola Selakovic, completed the three-day visit to Turkey, during which he met President of the Turkish Grand National Assembly Mr Cemil Cicek, Minister of Justice, Mr Ergin Sadullah and representatives of high-level Turkish judiciary system. Ambassador Dusan Spasojevic met today with the Minister of Development of the Republic of Turkey. During the meeting Serbian-Turkish bilateral relations and numerous topics from political and economic development of Turkey were discussed. 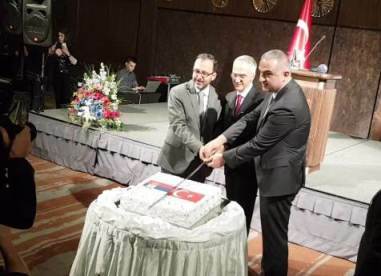 On the occasion of the National Day and Armed Forces Day of Serbia, a reception was given in the Residence of the Ambassador of Serbia in Ankara hosted by the Ambassador of the Republic of Serbia H.E. Mr Dusan Spasojevic and Defense Attache Mr Goran Milosevic and their spouses Mrs. Justine Anne and Mrs. Mirjana. Minister without Portfolio in the Government of the Republic of Serbia, Dr Sulejman Ugljanin came to Turkey for a working visit, during which he met Turkish government officials and representatives of economic sector. Ambassador Spasojevic visited His All Holiness Ecumenical Patriarch Bartholomew I. During his official visit to the Republic of Turkey, H.E. Mr Tomislav Nikolic visited yesterday the Embassy and the Residence of the Republic of Serbia in Ankara. 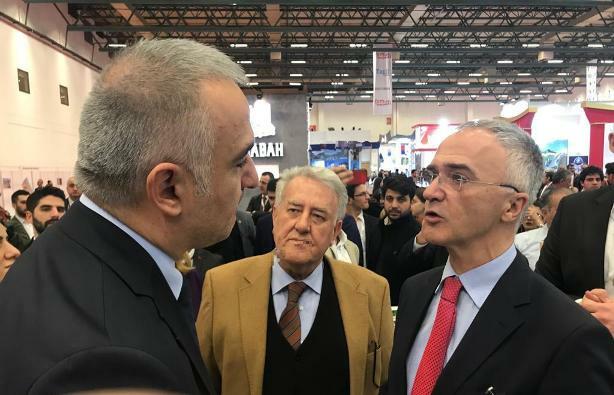 On the second day of his official visit to Turkey, President Nikolic attended the Business Forum and on that occasion asked the eminent businessmen of two countries to cooperate in a way that Serbian and Turkish high-leveled government officials do. On the second day of his official visit to Turkey, President Nikolic met His All Holiness Ecumenical Patriarch Bartholomew I in the Ecumenical Patriarchate in Istanbul. Laying a wreath at the memorial of Turkish Republic’s founder, Mustafa Kemal Ataturk and meeting with President Abdullah Gul, President Tomislav Nikolic, today, started his official visit to the Republic of Turkey. Ambassador Spasojevic met today the Chairman of the Turkish Grand National Assembly Mr Cemil Çiçek. The Embassy of the Republic of Serbia in Ankara with great regret and sorrow informs that the Minister Counselor, Mr. Milorad Sekulić, passed away today in Ankara after a short illness, in his 58th year of life. Mr. Milorad Sekulić remains in the memory of his collegues as a great diplomat and professional, exceptional colleague and noble person. Commemoration will be held at the Ministry of Foreign Affairs of the Republic of Serbia, on Thursday, 3rd January 2013, at 11hrs. SAF CHOD LTG Ljubisa Dikovic is ending his two-day visit to Turkey today during which he talked with his Turkish counterpart General Necdet Özel. Visiting the Aegean province and city of Izmir today Ambassador Spasojevic had meetings with the Governor of Izmir, Mr Cahit Kirac, Deputy Mayor of Izmir Metropolitan Municipality, Dr Sari Aydogan and the President of Izmir Chamber of Commerce, Mr. Ekrem Demirtas. Serbian Prime Minister Ivica Dacic met yesterday in Istanbul with Turkish Prime Minister Recep Tayyip Erdogan. During his working visit to the Republic of Turkey Prime Minister Ivica Dačić visited Embassy and Serbian Ambassador’s Residence yesterday. Prime Minister and Minister of the Interior Ivica Dacic spoke yesterday with President of Turkey Abdullah Gul about all major regional and international issues. Prime Minister and Minister of Interior of the Republic of Serbia Ivica Dačić, who is paying a working visit to Turkey, met with Turkish President Abdullah Gul in Ankara tonight. In the organisation of the Faculty of Economy and Administration Sciences and International Entrepreneurship Club of Ankara TOBB University Ambassador Spasojević delivered the lecture on ’’Serbia – Turkey – Political and Economic Cooperation, Potentials and Future Prospects“. 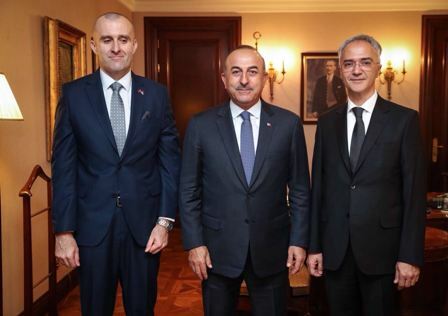 Minister without Portfolio Sulejman Ugljanin has completed his several-day visit to Turkey during which he had meetings with Turkish officials in Ankara and Istanbul. Minister of Education, Science and Technological Development, H.E. Mr Žarko Obradović, met today with the Minister of Education in the Government of the Republic of Turkey, H.E. Mr Omer Dincer. Ambassador Spasojevic received today our athletes who play in Ankara' football and handball clubs. Ambassador Spasojević met today the delegation of Turkish Confederation of Businessman and Industrialists - TUSCON, headed by its President, Mr Rizanur Meral. His Holiness Irinej, Serbian Patriarch receives on July 24, 2012 at the Serbian Patriarchate in Belgrade His Excellency Dusan Spasojevic, Ambassador of the Republic of Serbia in Turkey. Ambassador Spasojevic met today the Minister of Culture and Tourism of the Republic of Turkey Mr Ertugrul Gunay. Delegation of the Embassy of the Republic of Serbia yesterday and today paid a working visit to Province and City of Mardin. Ambassador Spasojević ends his visit to Diyarbakir by talking with its politico-economic leadership. 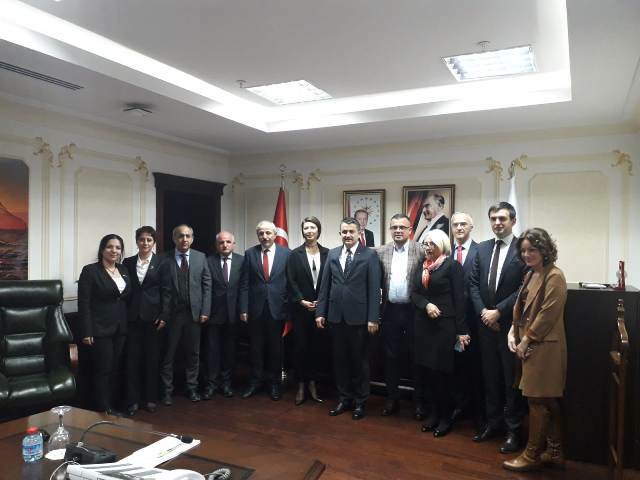 Ambassador Spasojević, who is heading the delegation of the Embassy of the Republic of Serbia, visited today the southeastern Province and City of Shanilurfa. Ambassador Dušan Spasojević has visited today the Province and the city of Gaziantep. This was the first visit of one of the Serbian’s ambassadors to Gaziantep, and this information was the one that all the interlocutors were emphasizing with a great pleasure. On today’s meeting between Ambassador Spasojević and the undersecretary of the Ministry of Economy of the Republic of Turkey, Ahmet Yakıcı, there were considered the questions from the field of bilateral economical cooperation among Serbia and Turkey. Ambassador Spasojević visited today the Serbian’s senior woman national volleyball team, which is playing on the qualification tournament in Ankara, and for the participation on the Olympic Games in London. 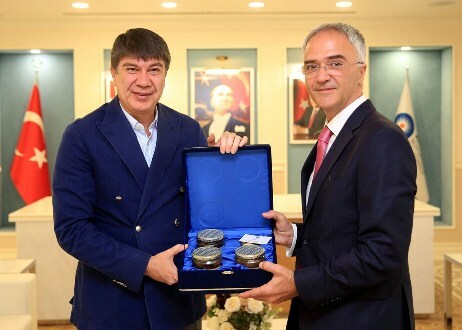 During today’s visit to province and city of Bursa, Ambassador Spasojević has met the governor and the deputy major Sahabetin Harput and Atila Ödünç, as well as the president of the Commercial and Industrial Chamber of Bursa Ҫelal Sonmez and the prominent members of the board of directors of the Chamber. Ambassador Spasojevic visited today University in Ankara, the oldest high education facility, and had a meeting with the rector, Professor Dr Cemal Talug. Ambassador Spasojević met today the Minister of forestry and water management in the Government of the Republic of Turkey Veysel Eroglu. 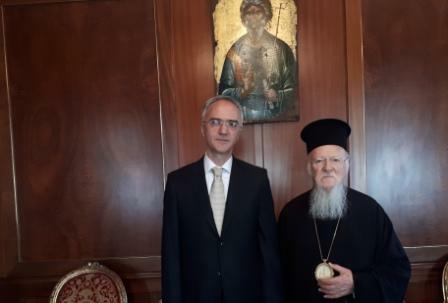 Ambassador Spasojević has paid a visit to his Holiness Ecumenical Patriarch Bartholomew. Ambassador Spasojević met today the Governor of the province of Istanbul, Mr Avli Mutlu. In the warm atmosphere conversation, they underlined that Istanbul could be the bridge of cooperation between the two countries. Ambassador Spasojević met today the leader of the Republican People’s Party Kemal Kılılçdaroğlu. The Association of Journalist and Writers last night organised the Award Ceremony for woman who achieved significant social contribution in the areas of civil commitment, civil initiatives, peace, education and entrepreneurship. Attache of the Embassy of the Republic of Serbia, Ms Dragana Blagojević, visited today Altindag Municipality, the central and the oldest municipality of the City of Ankara. At the seminar series organised by the prestegious Ankara research institute USAK, Ambassador Spasojević delivered a lecture on „Serbia’s Perspective on EU Candidacy and Its Contribution to the Regional Peace“. Ambassador Spasojević met today Mr Serdar Cam, the Director of the Turkish Cooperation and Development Agency, TIKA. Attache of the Embassy of the Republic of Serbia, Ms Dragana Blagojević, visited today Yenimahalle Municipality, one of the biggest municipalities in the City of Ankara. Secretary of State in the Ministry of Defence Dr Tanja Miscevic paid a two-day Official Visit to The Republic of Turkey. Minister of Agriculture, Trade, Forestry and Water Management Dusan Petrovic and Turkish Minister of Food, Agriculture and Livestock Mehmet Mehdi Eker talked today about the possibilities for improving cooperation in the field of agriculture, food industry and trade. Minister of Labor and Social Policy Mr. Rasim Ljajic visited Republic of Turkey today. Minister Ljajic met with the Minister of Labor and Social Security of the Republic of Turkey, Mr. Faruk Celik. 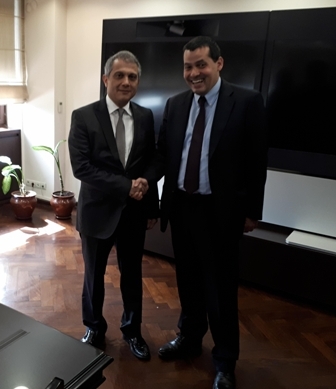 In today's meeting between Ambassador Spasojevic and Minister of National Education of Turkey and co-chairman of the Joint Committee for Economic Co-operation between Serbia and Turkey, Omer Dincer, all the aspects of bilateral cooperation were taken into consideration. Ambassador Spasojević met today the Minister of Labour and Social Policy Mr Faruk Celik. Ambassador Spasojević met today the Minister of Interior of the Republic of Turkey Idris Naim Sahin. Ambassador Spasojevic met today the Minister of Agriculture of the Republic of Turkey Mehmet Mehdi Eker. Minister of National Defense Ismet Yilmez met today H.E. Mr Spasojević. In the positive atmosphere they agreed that in the sector of defense there is a high level cooperation , but also a room for further improvement. Ambassador Spasojevic met today the Chairman of the Group of Friendship between Serbia and Turkey in Grand Turkish National Assembly, prof. PhD Seyit Sertcelik. Ambassador Spasojevic met today with Hasim Kilic, the President of the Counstitutional Court of Turkey. Ambassador Spasojevic met today with the Commander of the Turkish Armed Forces General Necdet Ozel. 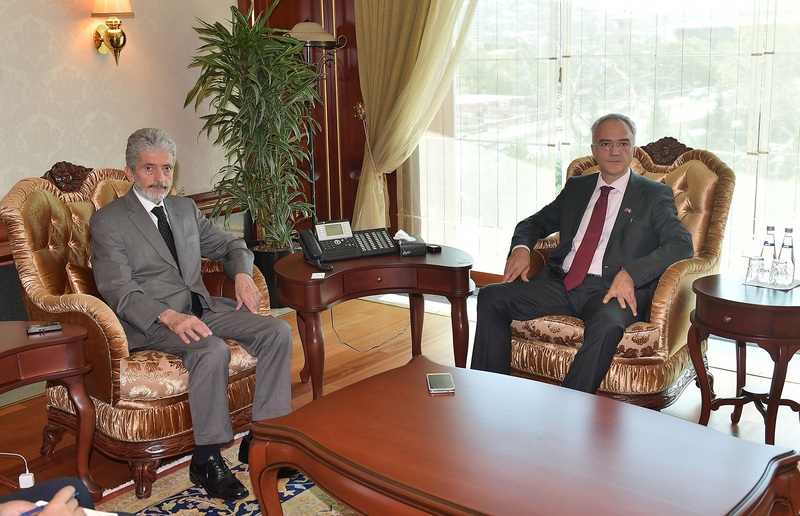 During today`s visit to the Province and City of Kayseri, Ambassador met with the Governor Mevlüt Bilici, the Deputy Mayor Mehmet Savruk, representatives of the commercial and industrial chambers of Kayserı and the Rector of the University ''Abdulah Gul'' Musa Asyalı. Prime Minister Mirko Cvetkovic and his Turkish counterpart Recep Tayyip Erdogan agreed today in Istanbul that the two countries should continue with intensive contacts at the highest political level because that is a signal for deepening economic relations. 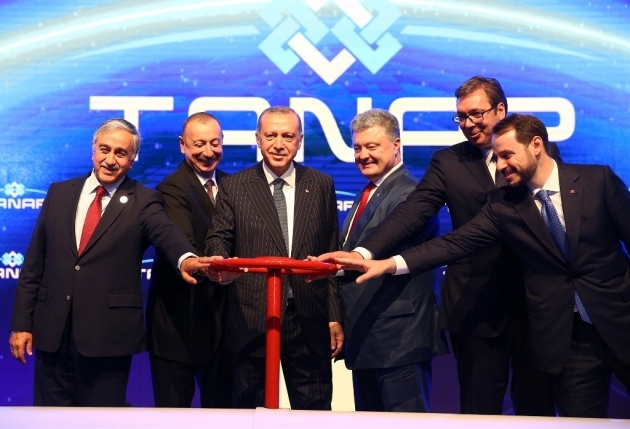 Prime Minister Mirko Cvetkovic said today at the opening of the Black Sea Energy-Economic Forum in Istanbul that Serbia is open to participate in projects aimed at strengthening the security of energy supply. President of the Foreign Affairs Committee of the National Assembly of Serbia Dragoljub Micunović Ph.D, finished his two-day visit to the Republic of Turkey. Mr Micunović was invited by the Chairman of the Foreign Affairs Committee of the Turkish Grand National Assembly, Mr Volkan Bozkir. High delegation of the Serbian Orthodox Church led by His Holiness Irinej, Serbian Patriarch, visited Patriarchate of Constantinople. Ambassador Spasojević gave a lecture to the students of Hacattepe University in Ankara today. During the lecture, which was attended by over a 300 students, Ambassador Spasojević informed students and professors about the situation in the region, all aspects of bilateral cooperation between Serbia and Turkey, the process of EU integration and the current issues of international politics. During today`s visit to the Province and City of Konya, Ambassador Spasojević met with the Governor Aydin Nezih Dogan, the Mayor Tahir Аkyurek and representatives of the commercial and industrial chambers of Konya. 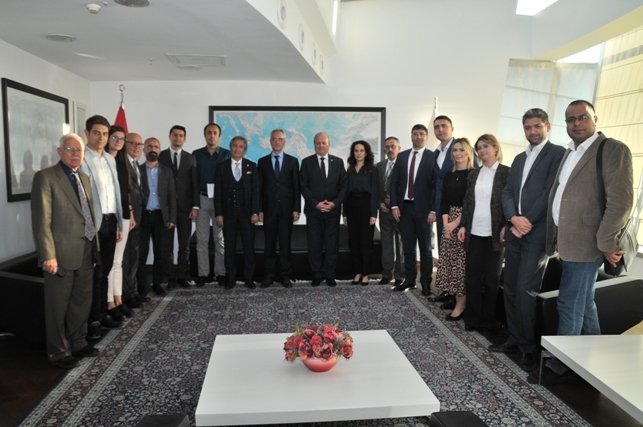 During today`s visit to the Province and City of Mersin, Ambassador met with the Governor Hasan Basri Güzeloğlu, the Mayor Macit Özcan and representatives of the commercial and industrial chambers of Mersin and the Rector of the Mersin University Suha Aydin. Minister of Defence Dragan Sutanovac attended the meeting of Defence Ministeries from SEDM Countries, which took place on October, 2nd and 3rd in Antalya, Turkey. The Serbian Minister of Agriculture, Dusan Petrović, and a delegation from the Ministry of Agriculture, paid a one-day Official Visit to The Republic of Turkey. During the Meeting with the Turkish Minister of Agriculture Mehmed Mehdi Eker, the Ministers spoke about various possibilities of developing cooperation in the field of Agriculture between Serbia and Turkey. Ambassador Spasojević met today the Turkish Minister for the EU Egemen Bagis. During an open discussion, the Ambassador and the Minister exchanged their views and experiences in the EU integration processes of their two countries. The Serbian Boxing Team will participate at the European Championship, which will be held from June 15-25 in Ankara. On this occasion Ambassador Spasojević received in his Residence the Serbian National Boxing Team and the Delegation of the Boxing Federation of Serbia. Ambassador Spasojević had a meeting with Rifat Hisarciklioglu, the President of the Union of Chambers and Commodity Exchanges of Turkey (TOBB), which is the most influential business association in the country. Promotion of the Turkish edition of the book ‘Hamam Balkania’, written by Serbian author Vladislav Bajac, was held tonight in the Residence of the Serbian Ambassador, in the presence of the author. Belgrade Karate Federation Team, which participates at the 9. Regional Karate Championship in Ankara, from June 4-6, visited the Embassy of the Republic of Serbia today. Ambassador Spasojević visited today The International Institute for Strategic Studies (USAK). During the meeting with the management and top researcher of the Institute, Ambassador Spasojevic was introduced to the work and activities of this independent organisation which is very influential in Turkish political and academic circles and which analyses international politics with special attention to its reflection on Turkey. Ambassador Spasojević hosted a reception in the honour of the Women Cadet Volleyball National Team of Serbia, who participated at 9. European Cadet Championship in Ankara. In the Residence of the Serbian Ambassador a reception was held tonight in the honour of the visit of the Vice-President of The German Marshal Fund Ivan Vejvoda. 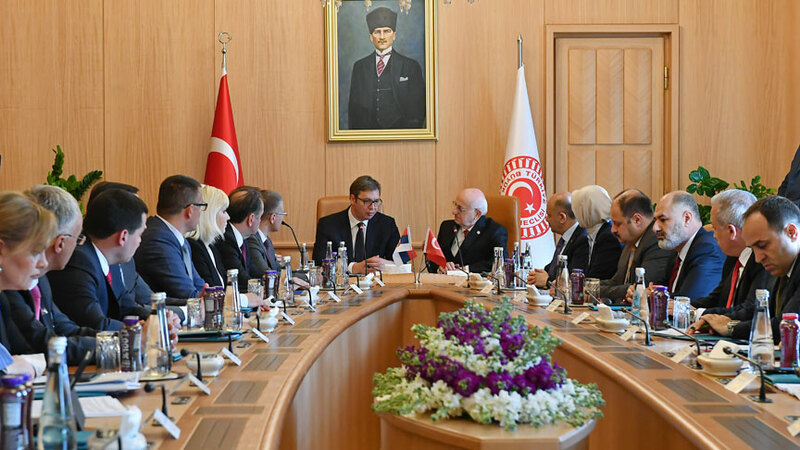 The Prime Minister of the Republic of Serbia Mirko Cvetković paid a two-day Official Visit to the Republic of Turkey, during which he met top Turkish Officials and a number of representatives of leading Turkish companies. Serbian Ambassador Dusan Spasojević and Defence Attache Zeljko Gajić hosted a National Day Reception on February 15th, 2011. The Ambassador of the Republic of Serbia in Turkey H.E. 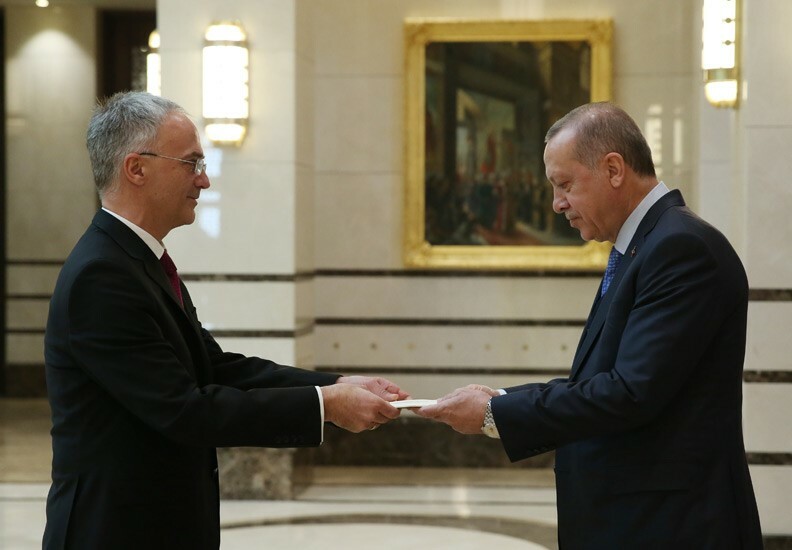 Mr Dusan Spasojević at the ceremony at Çankaya Presidential Palace presented his Letters of Credentials to the President of the Republic of Turkey H.E. Mr Abdullah Gül.